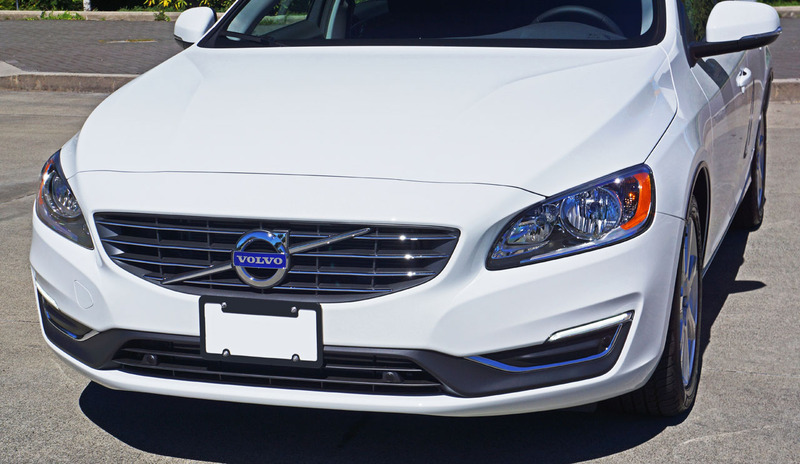 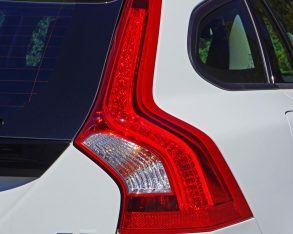 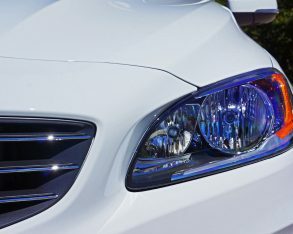 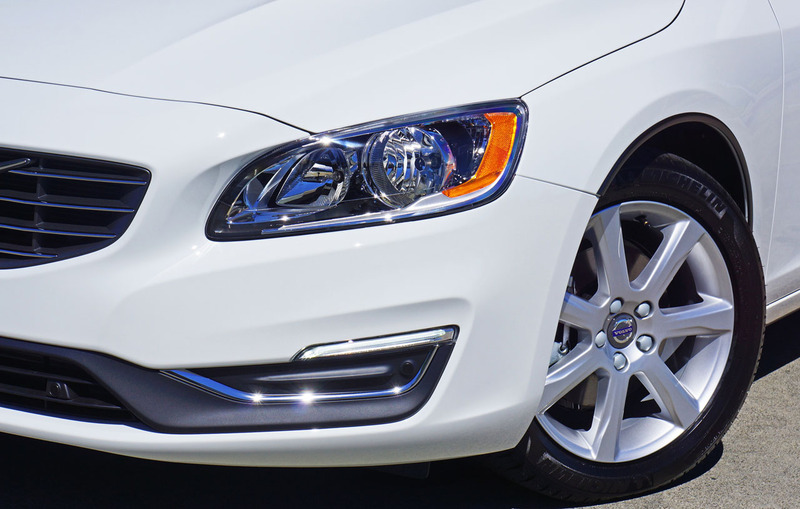 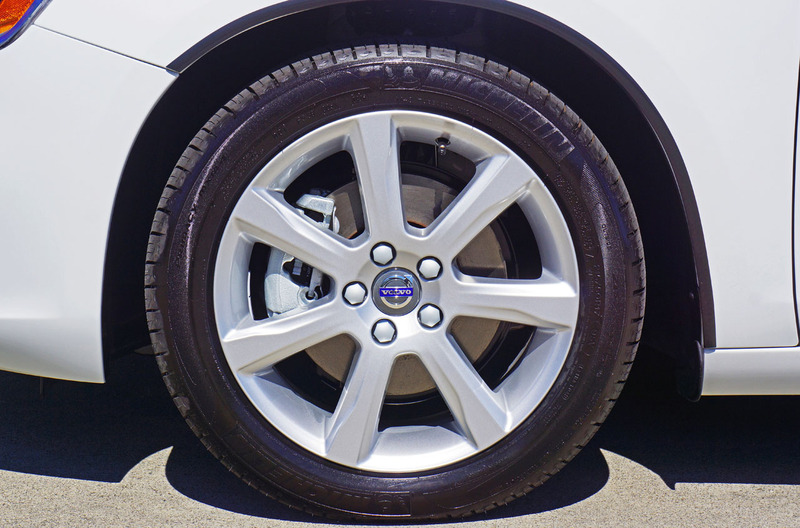 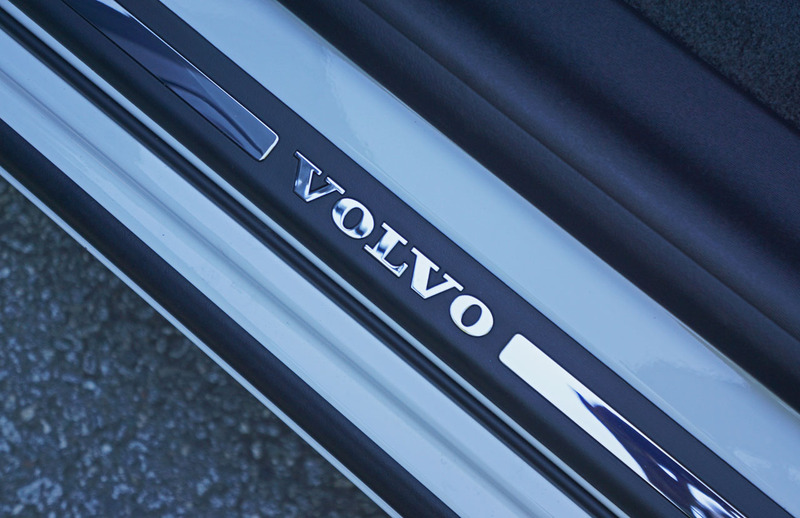 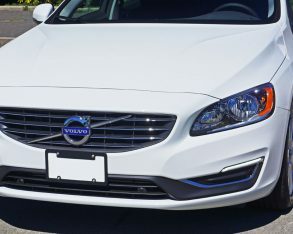 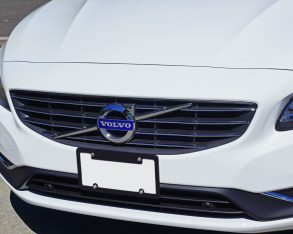 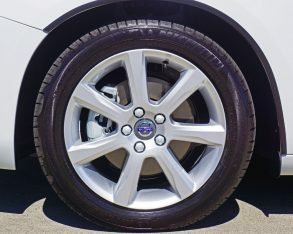 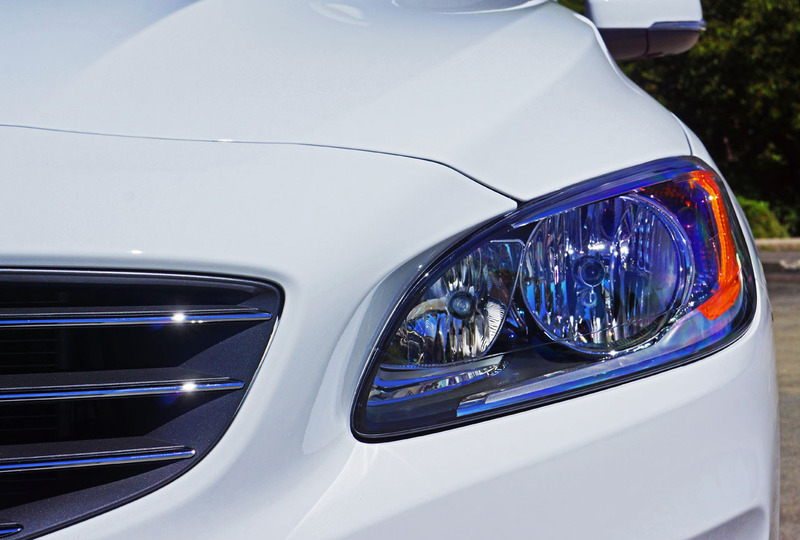 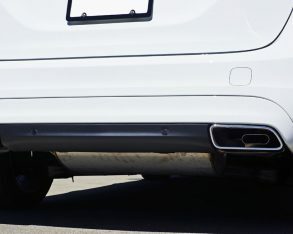 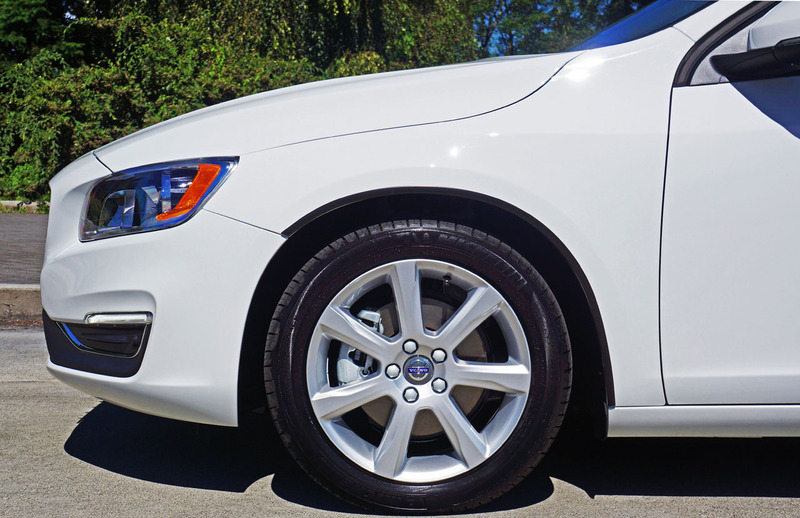 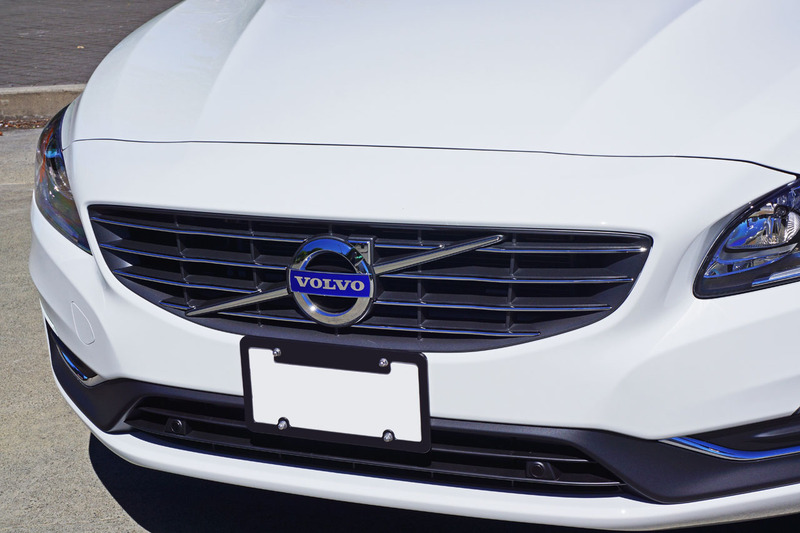 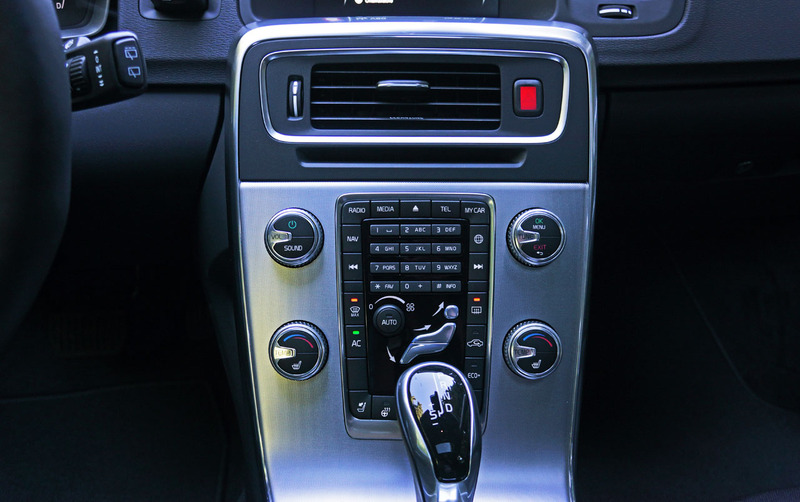 Volvo has one of the widest arrays of models in the “Tier 2” luxury sector, which refers to all premium brands other than Mercedes-Benz, BMW, Audi, and Lexus. 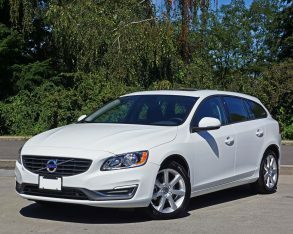 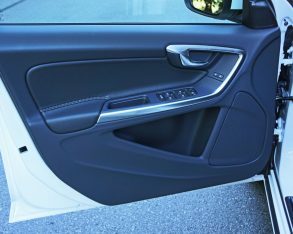 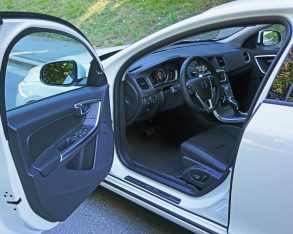 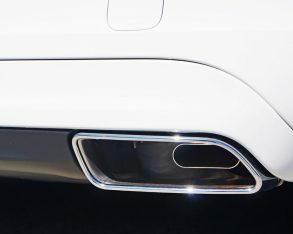 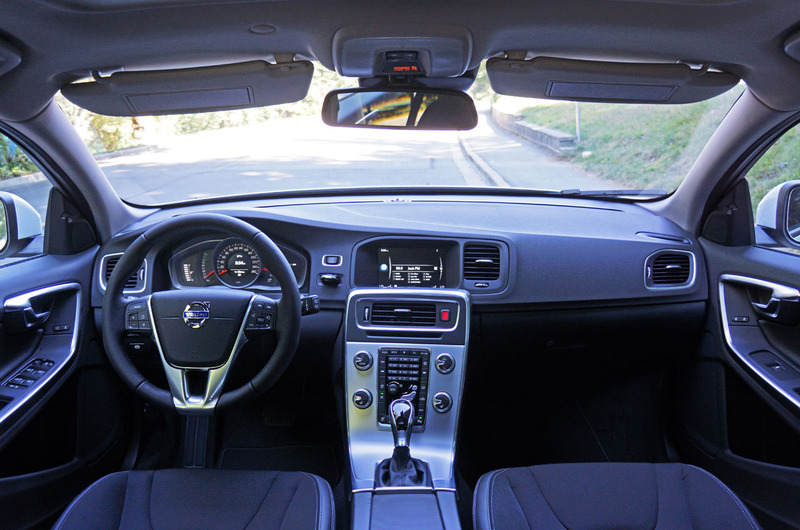 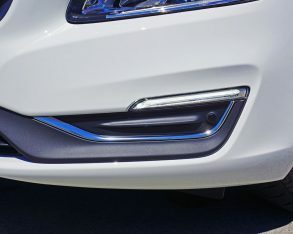 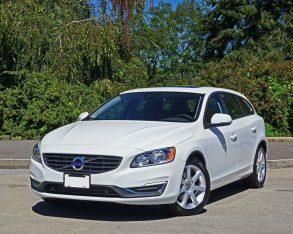 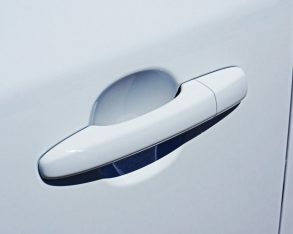 with the entirely new S90 luxury sedan that replaces the long-in-tooth S80, and V90 sport wagon soon to enter the market, plus the recently redesigned XC90 crossover SUV that’s rejuvenated the Swedish brand’s sales, Volvo’s current lineup includes the XC70 crossover wagon, XC60 compact SUV, S60 sport-luxury sedan, S60 Cross Country crossover four-door, V60 Cross Country crossover wagon, and V60 sport wagon. 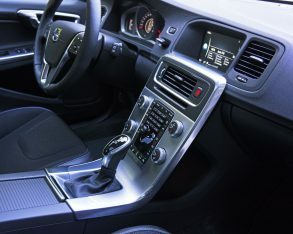 What’s more, many of these get performance-tuned Polestar editions, Volvo’s version of AMG, M, RS and F.
The vast majority of these models haven’t received Volvo’s much-lauded new styling enhancements or its revised interior design, but the V60 sport wagon being reviewed here remains a thoroughly attractive premium compact nonetheless, and plenty luxurious, while the model tested incorporates the brand’s highly advanced Drive-E powertrain introduced across most of the line last year, alongside the new V60. 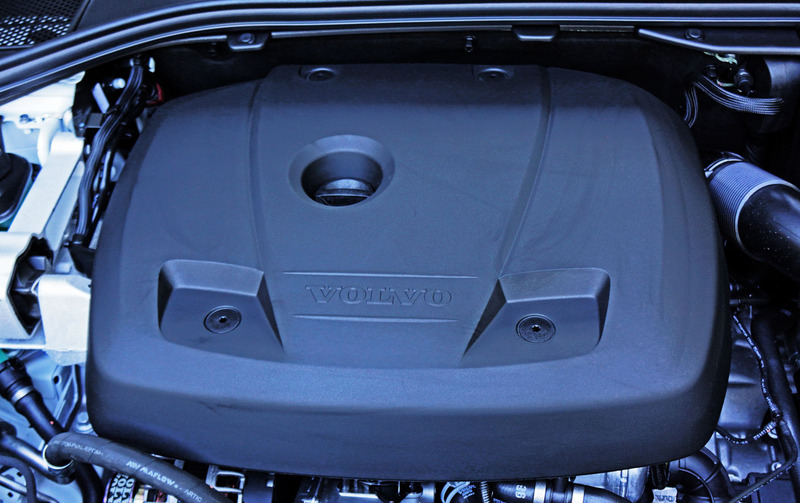 is Volvo’s new family of lightweight high-pressure die-cast aluminum DOHC, 16-valve, direct injection, four-cylinder engines capable of six- and eight-cylinder levels of output, depending on their state of tune. 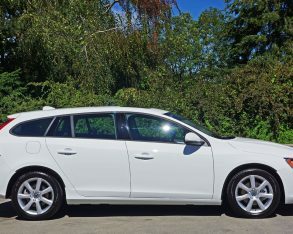 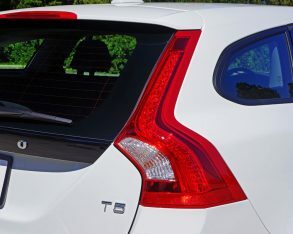 The entry-level V60’s version is an energetic turbocharged and intercooled 2.0-litre four capable of 240 horsepower and 258 lb-ft of torque, the latter available from a very tractable 1,500 rpm. 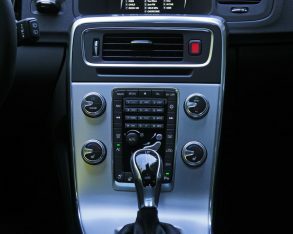 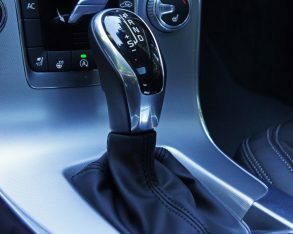 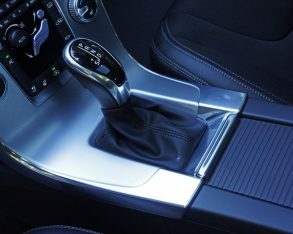 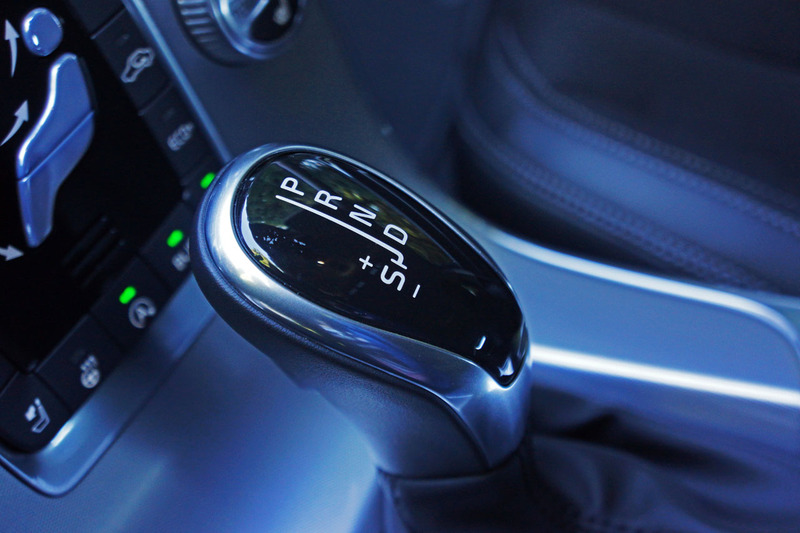 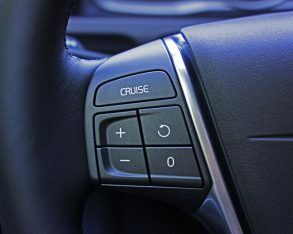 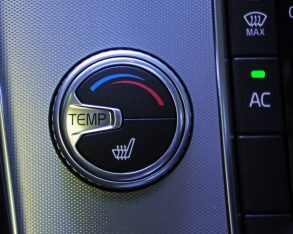 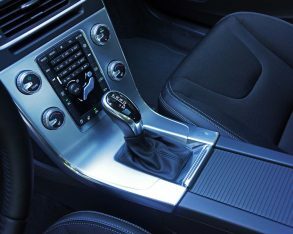 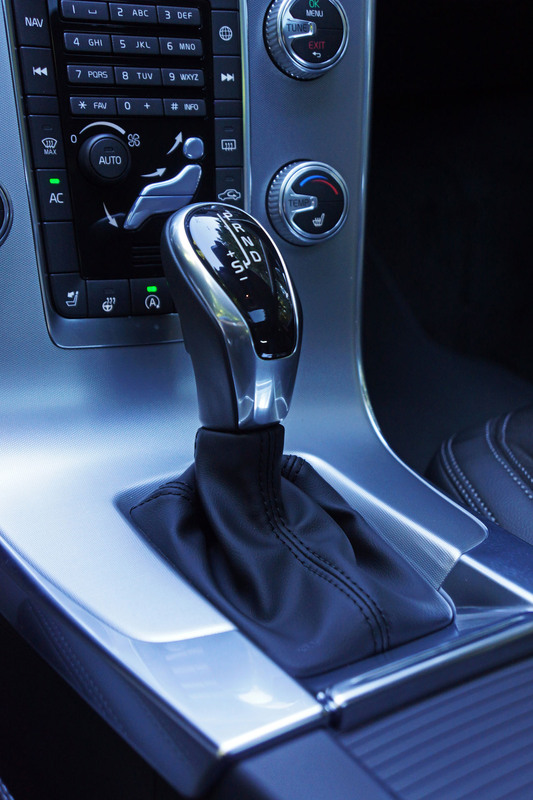 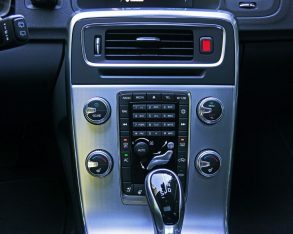 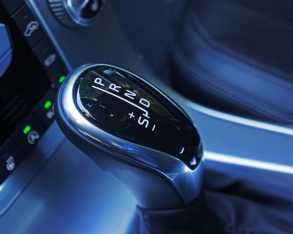 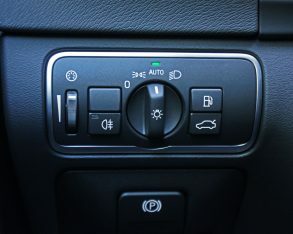 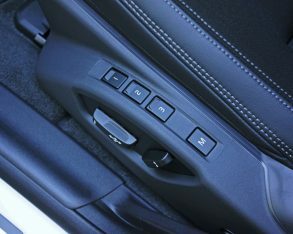 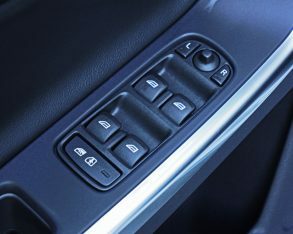 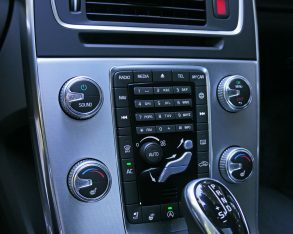 It comes mated to a smooth shifting, quick reacting, advanced eight-speed “Geartronic” automatic with manual Sport mode, adaptive shift control, and auto start/stop that, when switched to Eco+ mode, even disengages the engine when coasting at the 5 km/h mark instead of the usual complete stop. 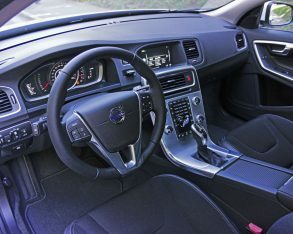 While plenty quick off the line with ample passing power, this version of the Drive-E powertrain mostly focuses on reduced fuel consumption and minimized pollutants, the base V60 good for a 9.6 L/100km city and 6.7 highway five-cycle rating that’s 20-percent more efficient on the highway than Volvo’s old inline-five (five-percent derived from Eco+ mode alone). 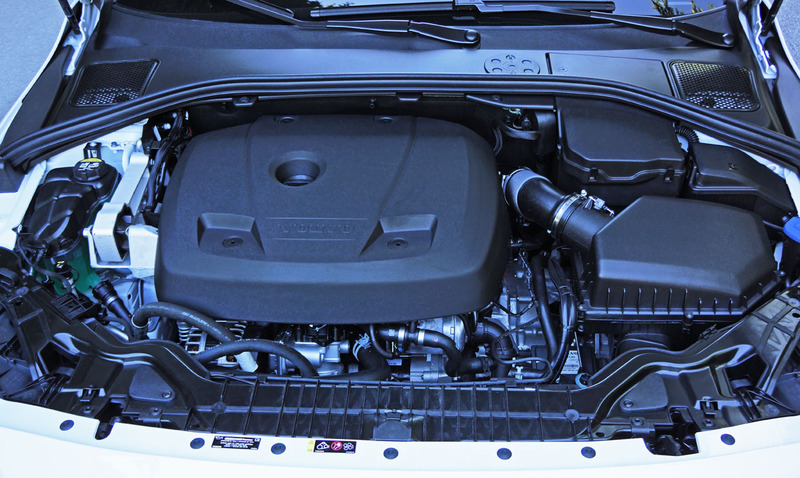 both a turbocharger and supercharger for 310 horsepower and 295 lb-ft of torque plus fuel economy rated at 11.3 L/100km city and 8.2 highway, which is very efficient considering its performance. 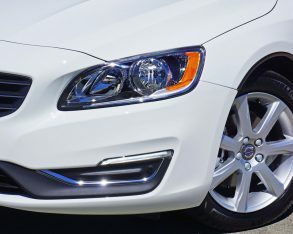 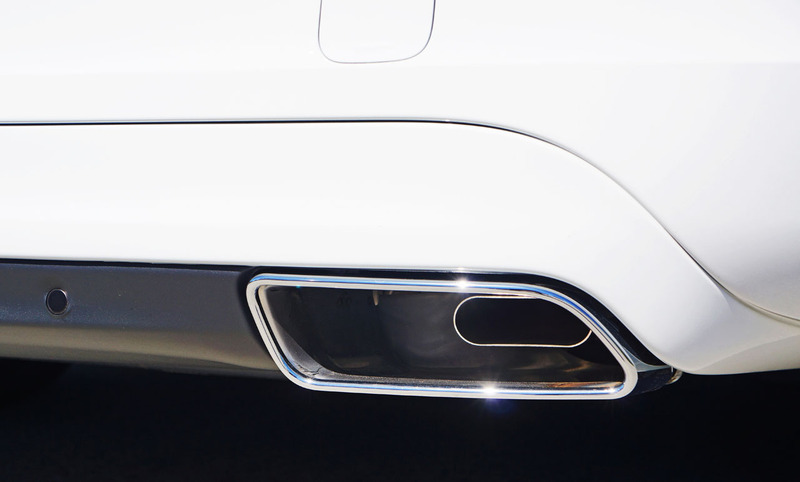 Volvo claims the Drive-E AWD as the world’s cleanest combustion powertrain relative to power, with an emissions rating of 148 g/km of CO2, which means it delivers more than 2 hp per gram of CO2. 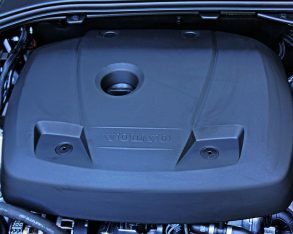 What’s more, the brand now combines this top-tier engine with plug-in hybrid electric propulsion in its top-line XC90 T8 Twin Engine SUV resulting in 400 horsepower and 475 lb-ft of torque for a 6.0-second to 100km/h sprint yet even better efficiency thanks to 43 km (27 miles) of Pure mode EV range, while Europe infuses this very V60 with a unique plug-in turbo-diesel D6 Twin Engine capable of 50 km (31 miles) of electric-only range, so stay tuned as electrified powertrains permeate more of Volvo’s upcoming redesigns. 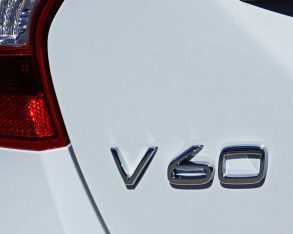 to compact reality, our version of the V60 goes up against BMW’s 3 Series Touring, and I suppose Lexus’ CT 200h hybrid and Audi’s A3 Sportback E-Tron plug-in hybrid too, but that’s about it now that there’s no A4 Avant (the A4 Allroad competes with Volvo’s taller V60 Cross Country), C-Class Wagon or CTS Sport Wagon in our market, and Saab seems terminally out of the picture. 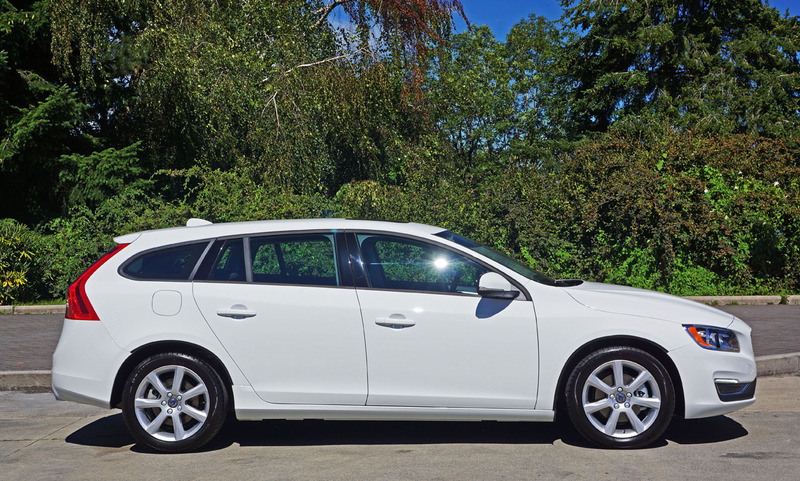 This said the CT and A3 are both significantly smaller than the V60 and 3 Touring and therefore don’t warrant direct comparison. 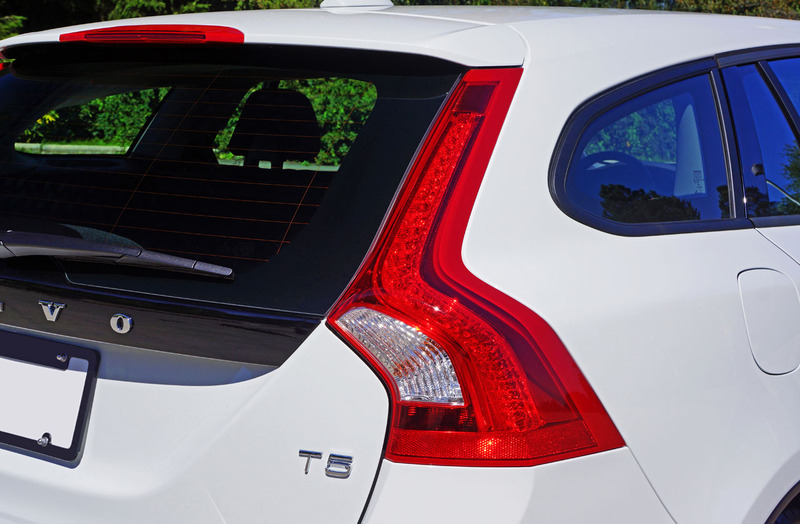 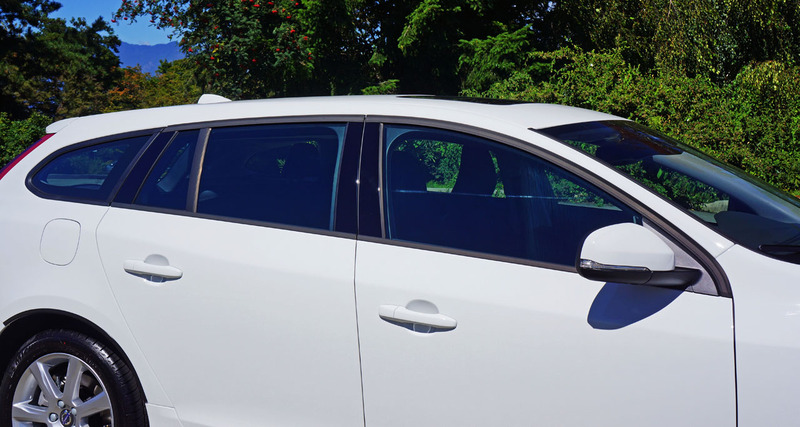 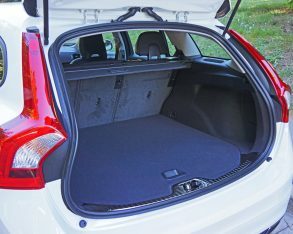 the V60 an elegantly sporty profile yet also reducing its stowage capacity to 430 litres (15.2 cubic feet) behind the rear seats and below the retractable cargo cover. 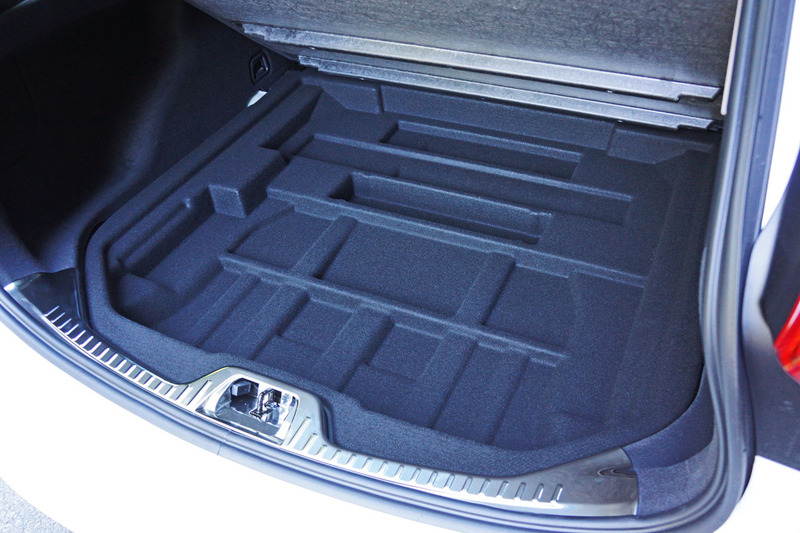 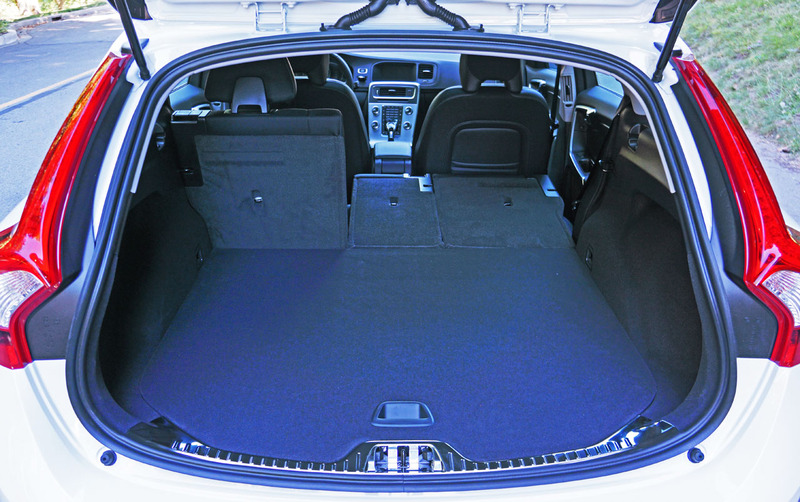 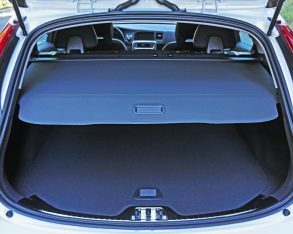 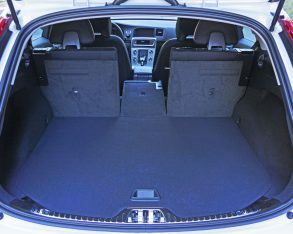 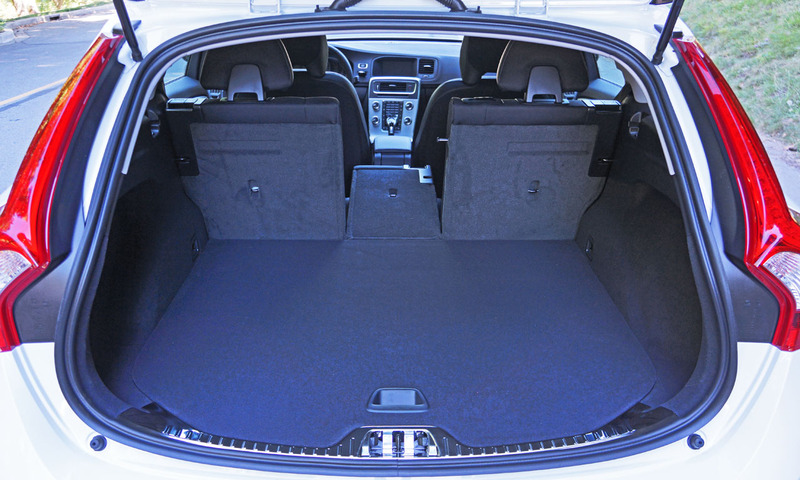 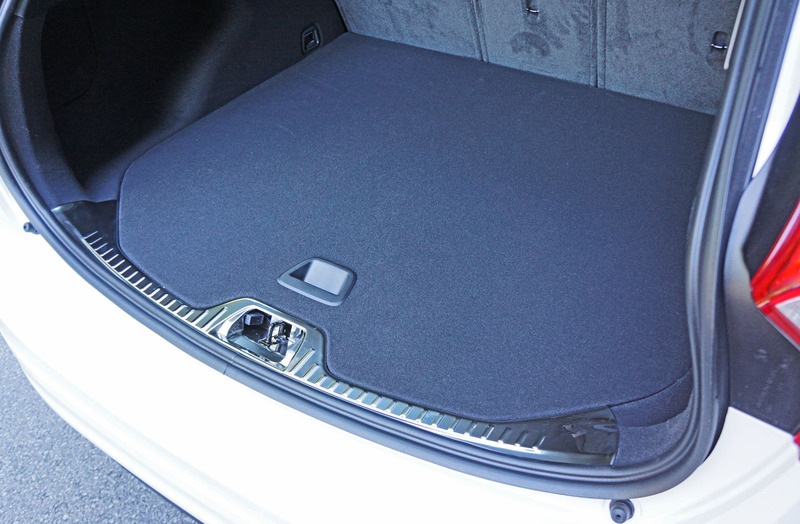 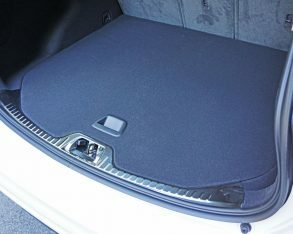 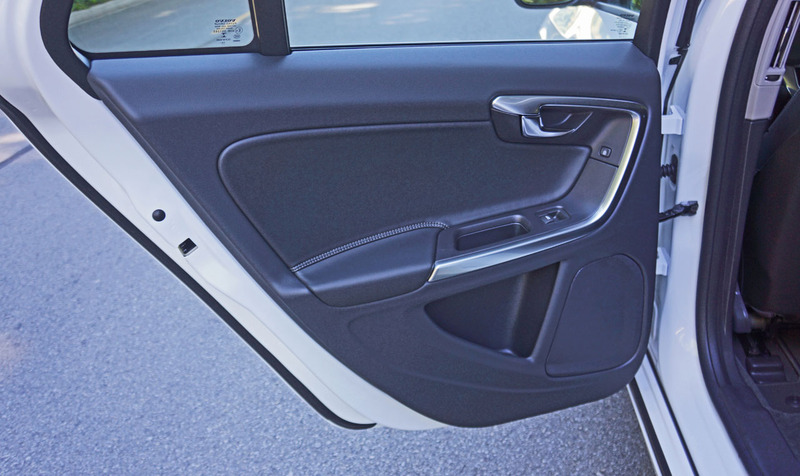 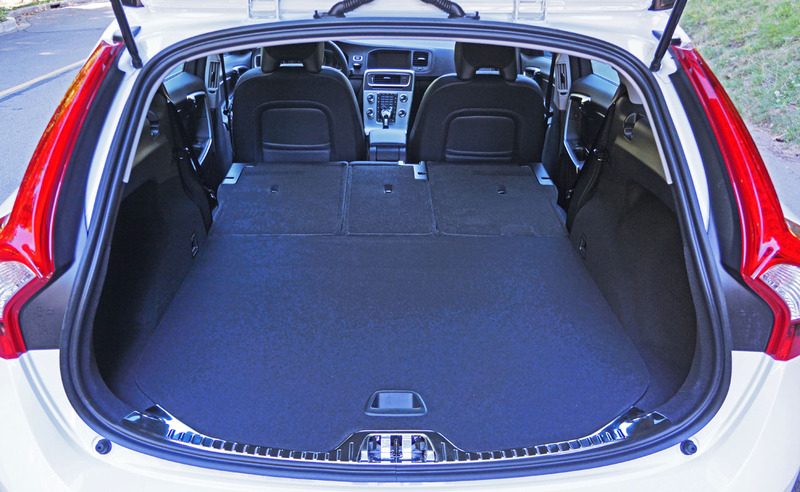 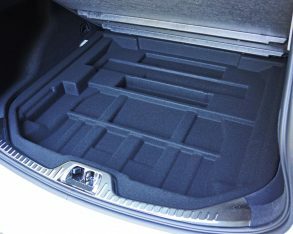 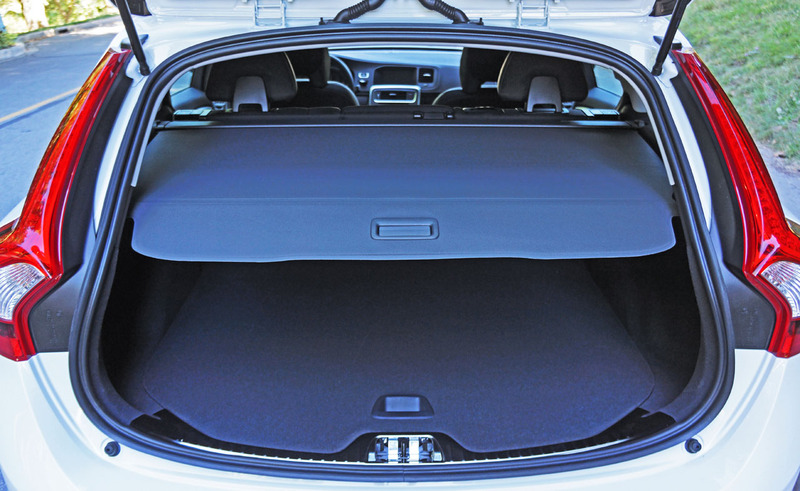 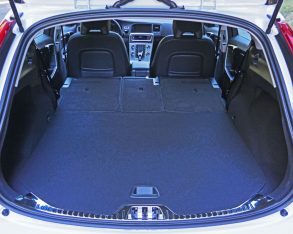 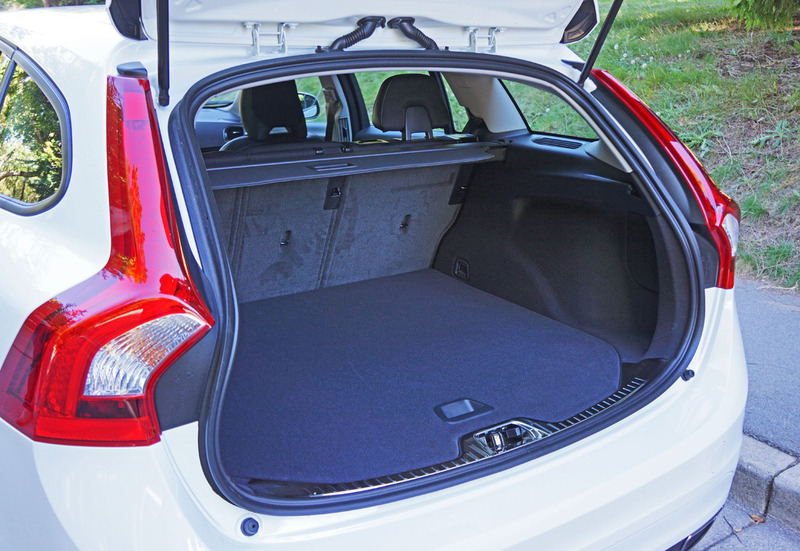 If you check Volvo’s website you’ll see 692 litres (24.4 cubic feet) in the cargo category, but this represents the entire area aft of the rear seats, right up to the roofliner. 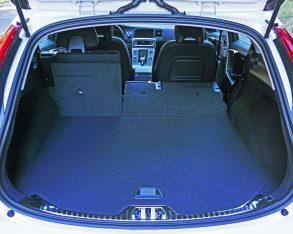 The former number means it’s 66 litres (2.3 cubic feet) down on the 3 Touring’s luggage hold, while laying both model’s 40/20/40-split rear seatbacks flat is once again advantage BMW, the Touring’s 1,500 litres (53.0 cubic feet) some 280 litres (9.9 cubic feet) more accommodating than the V60’s maximum 1,220 litres (43.1 cubic feet). 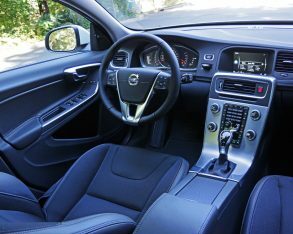 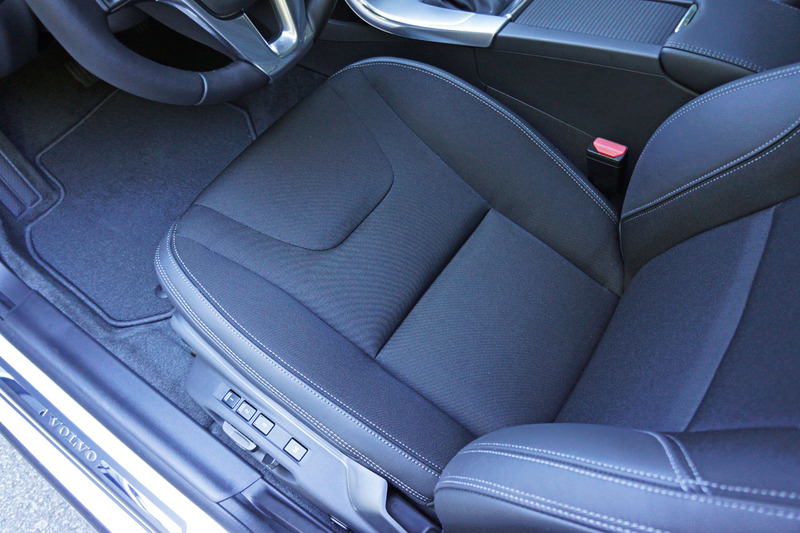 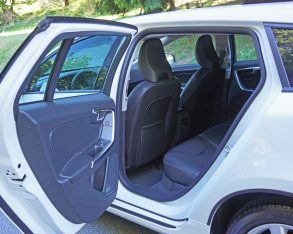 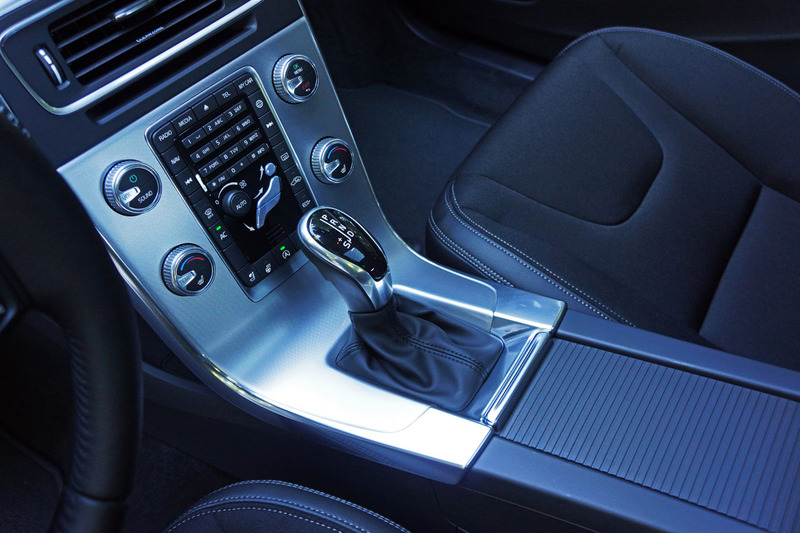 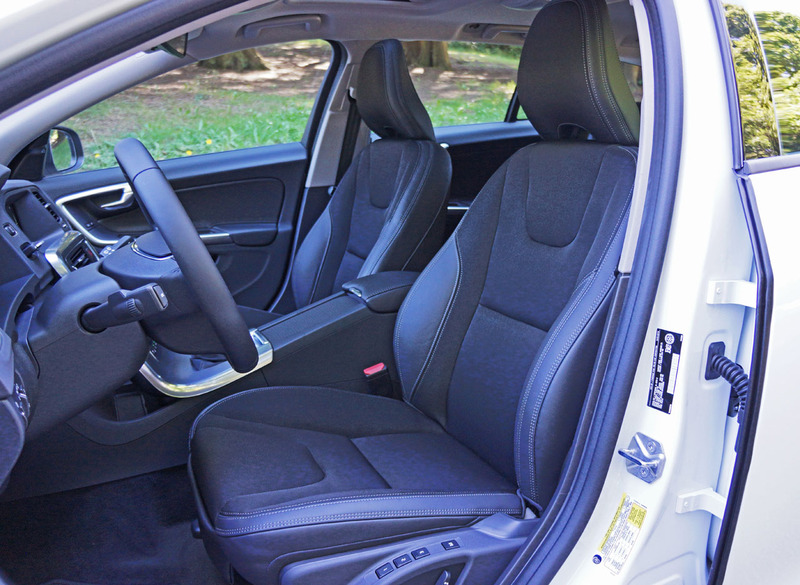 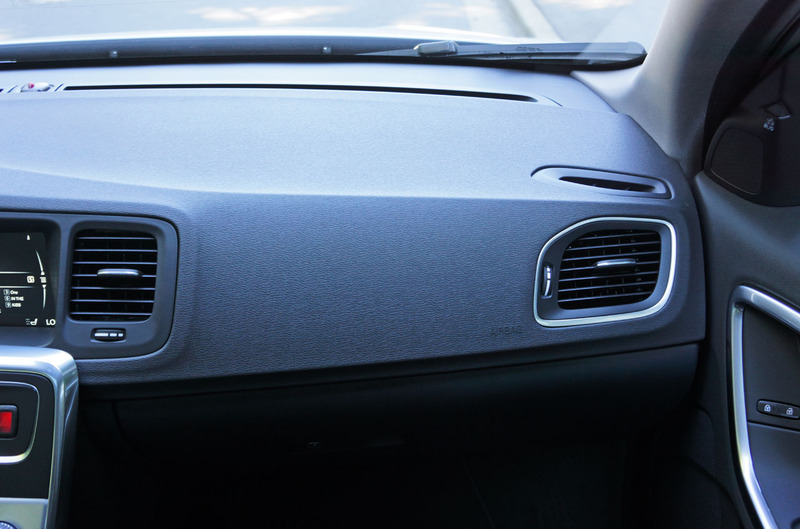 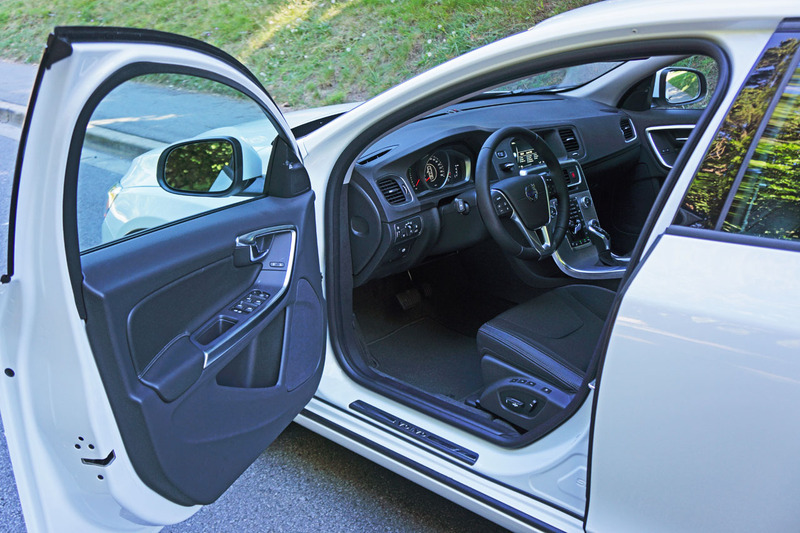 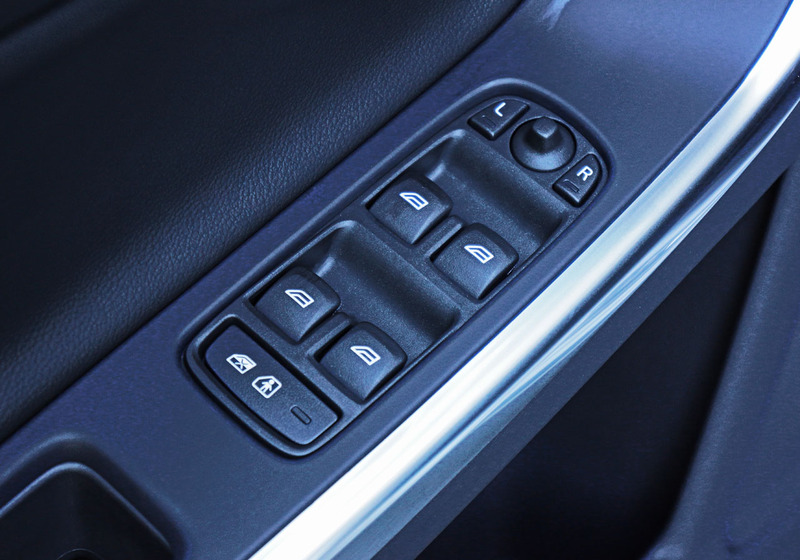 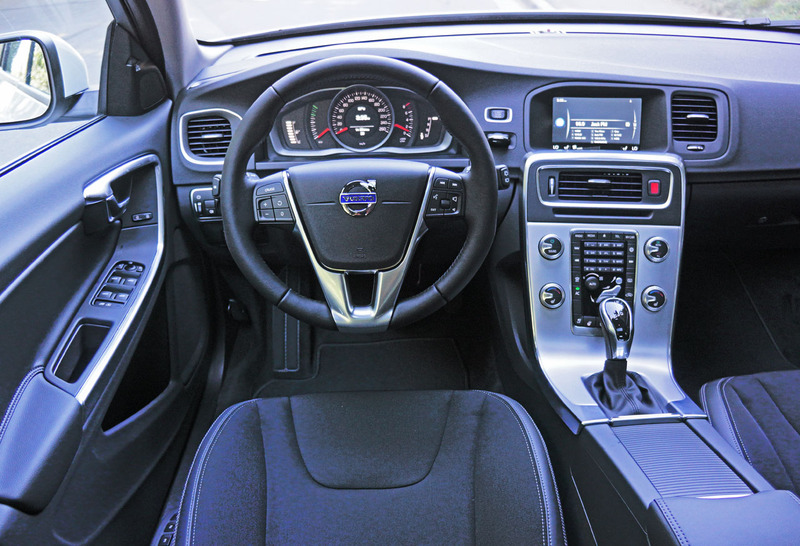 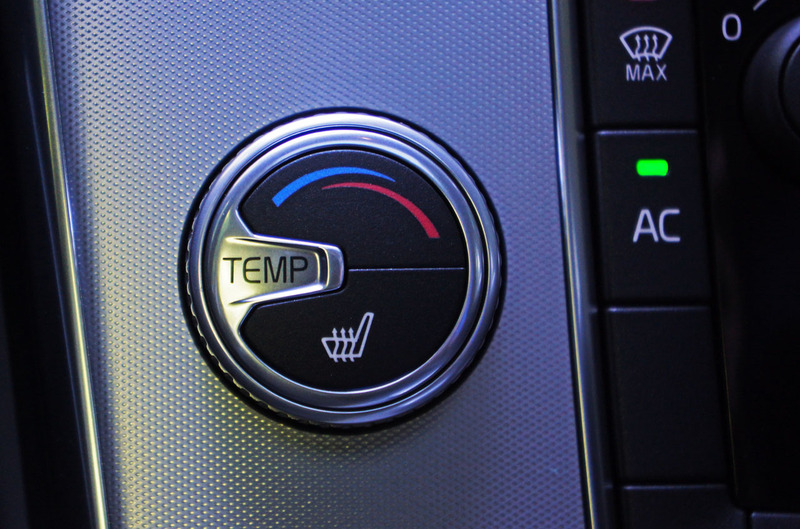 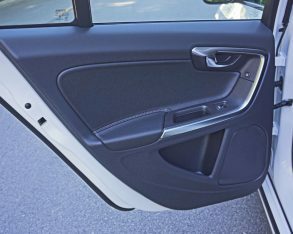 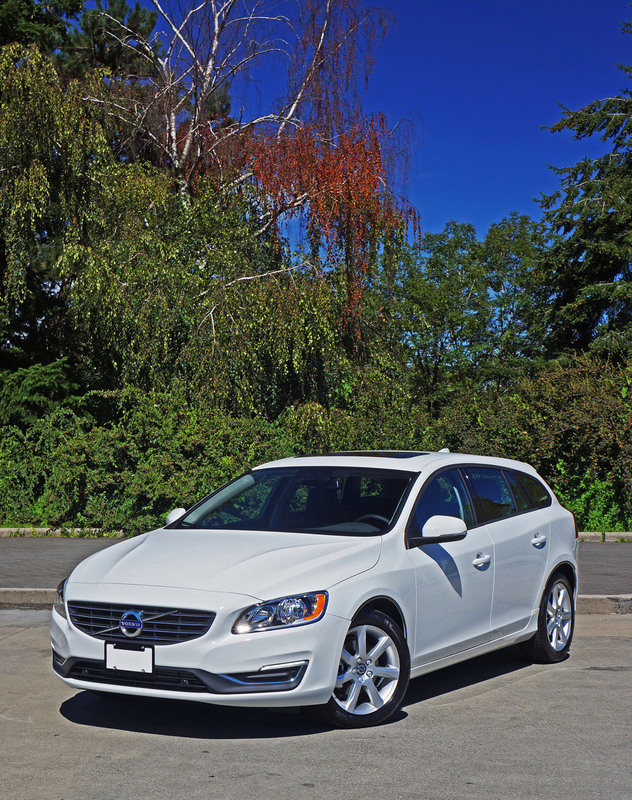 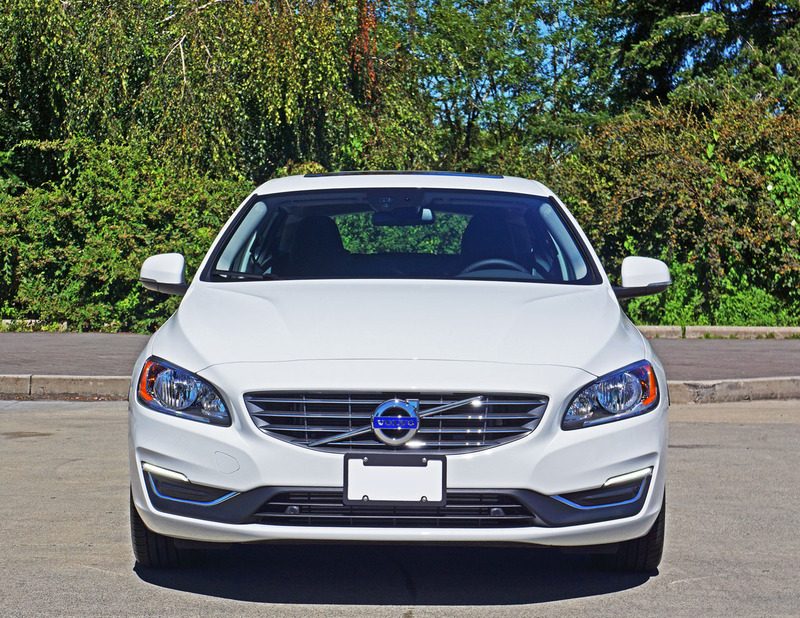 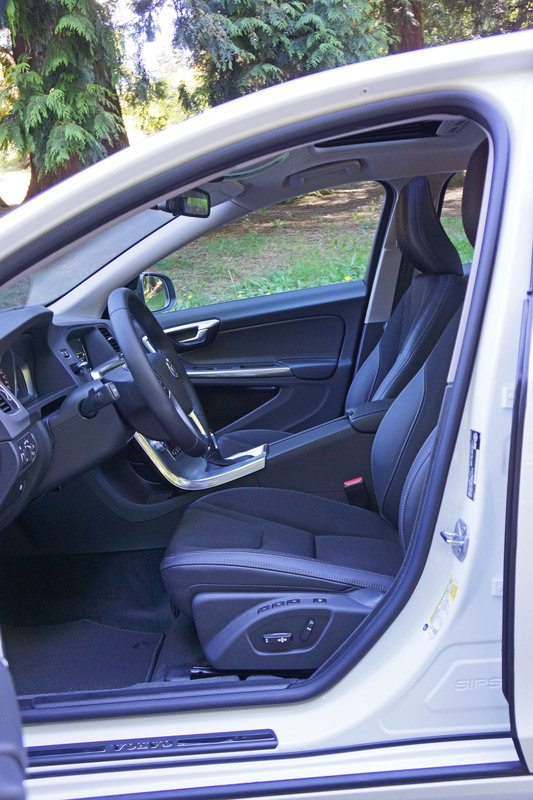 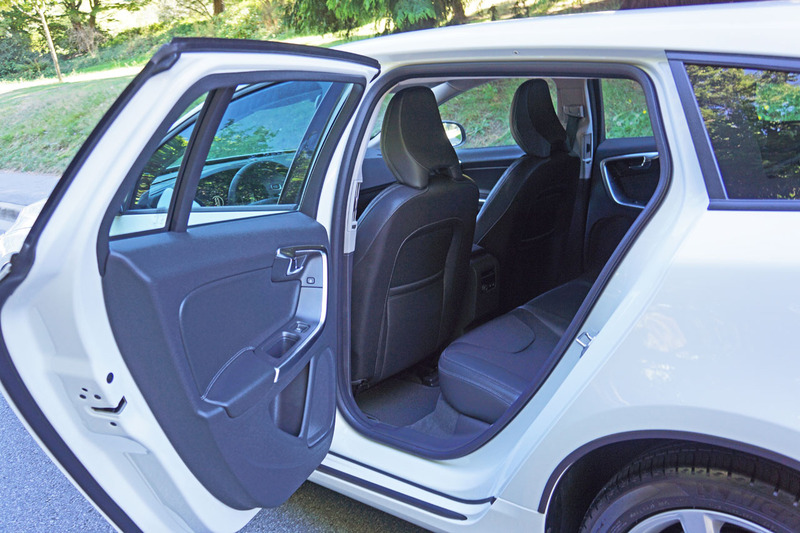 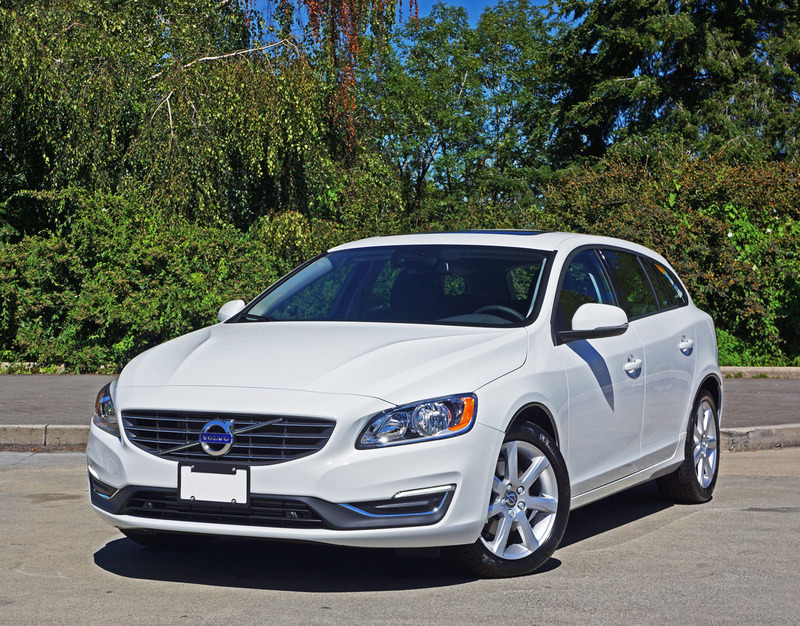 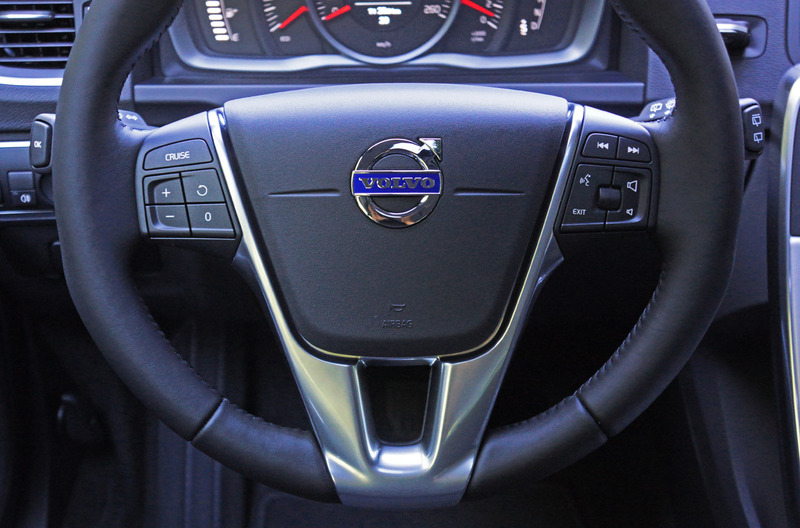 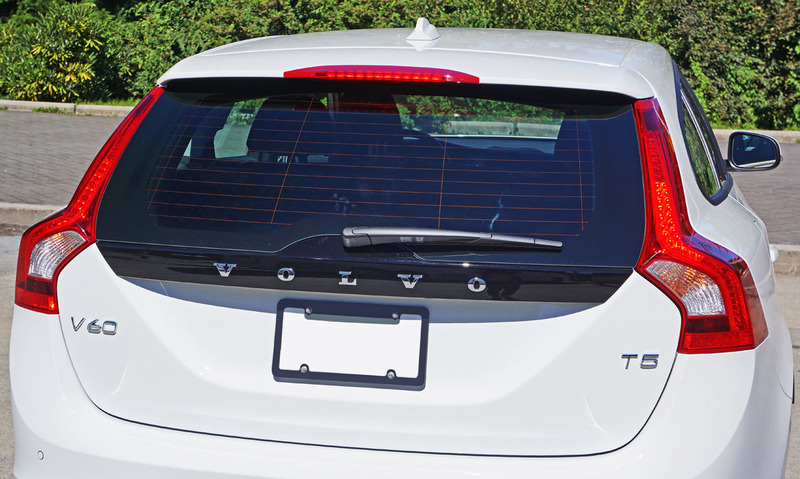 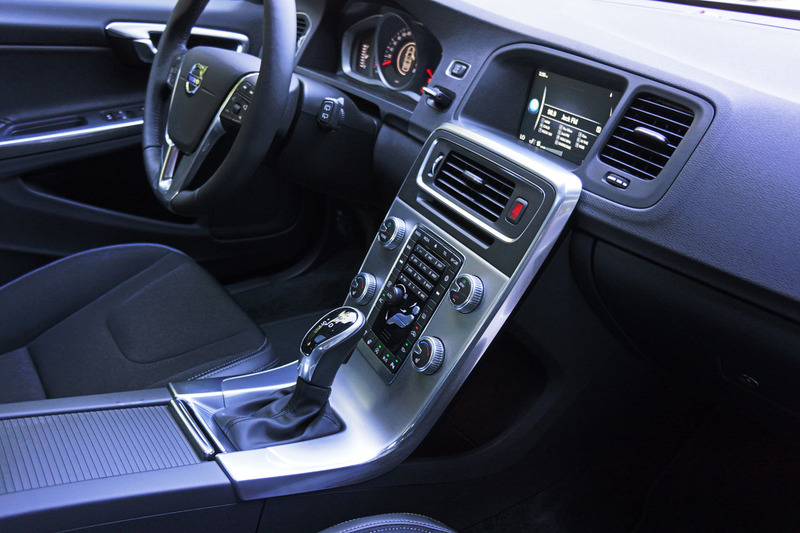 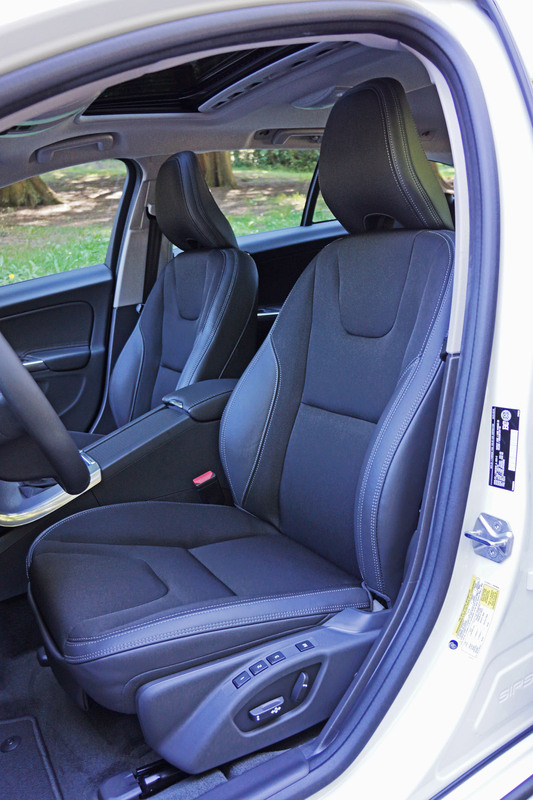 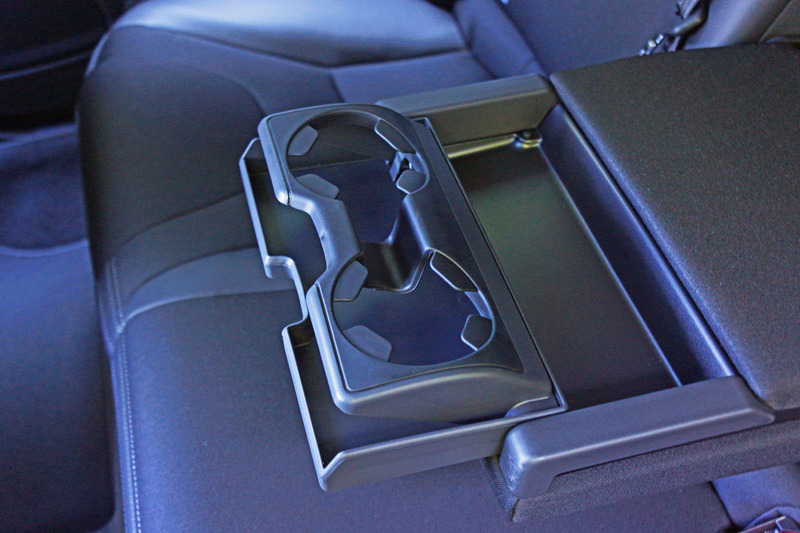 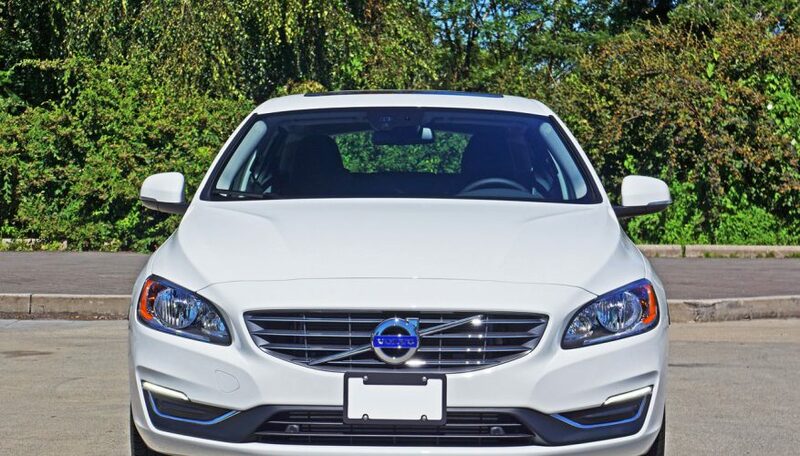 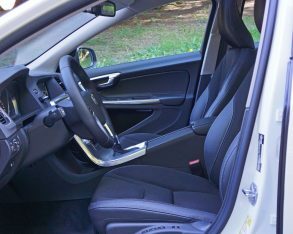 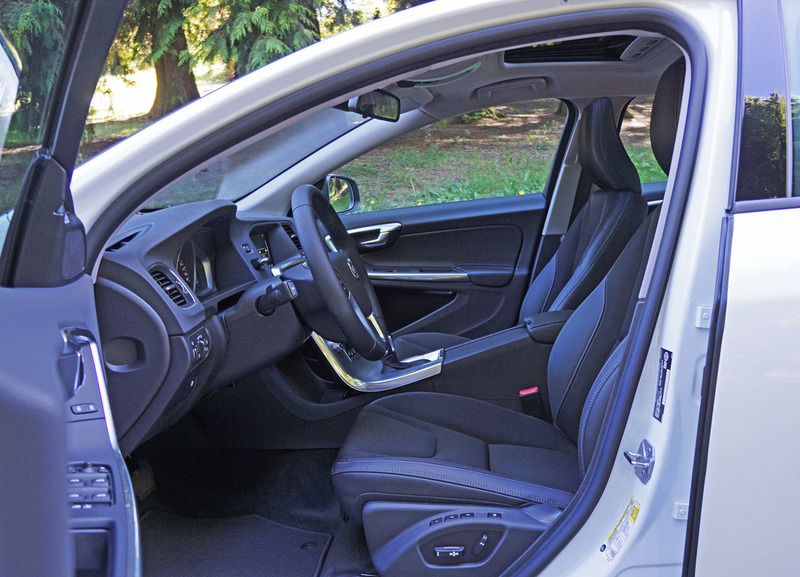 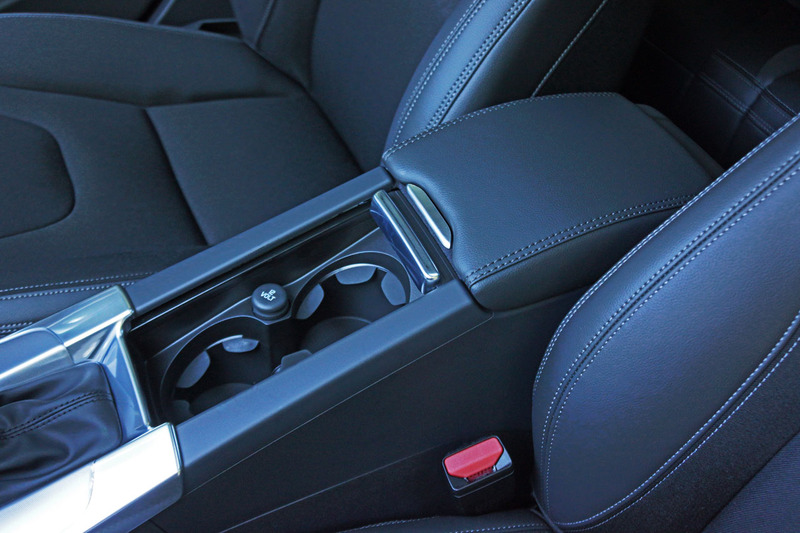 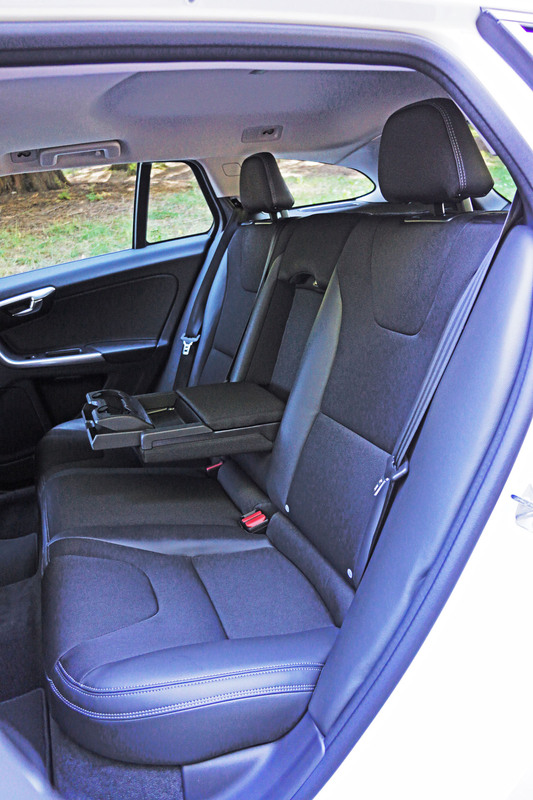 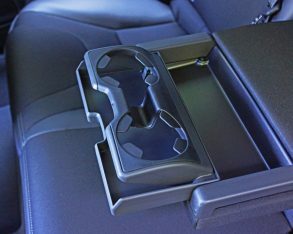 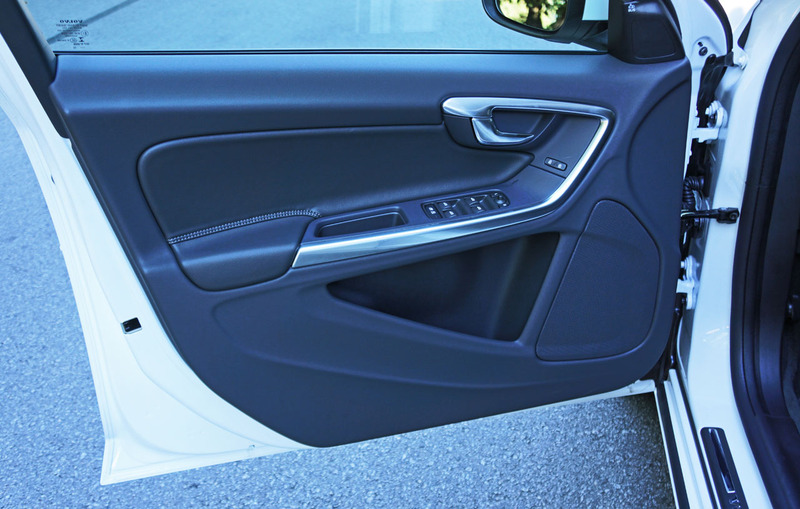 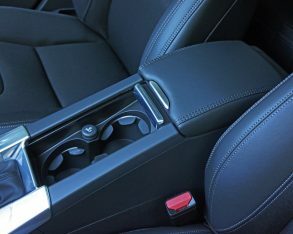 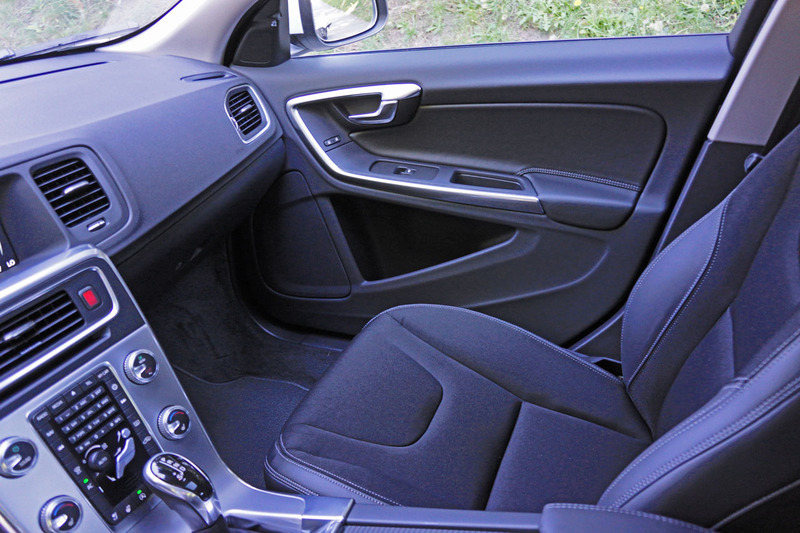 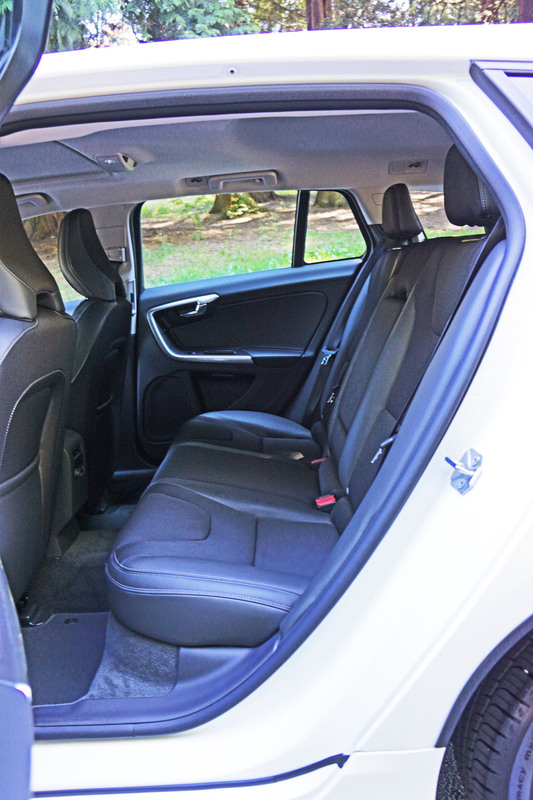 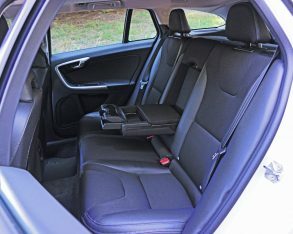 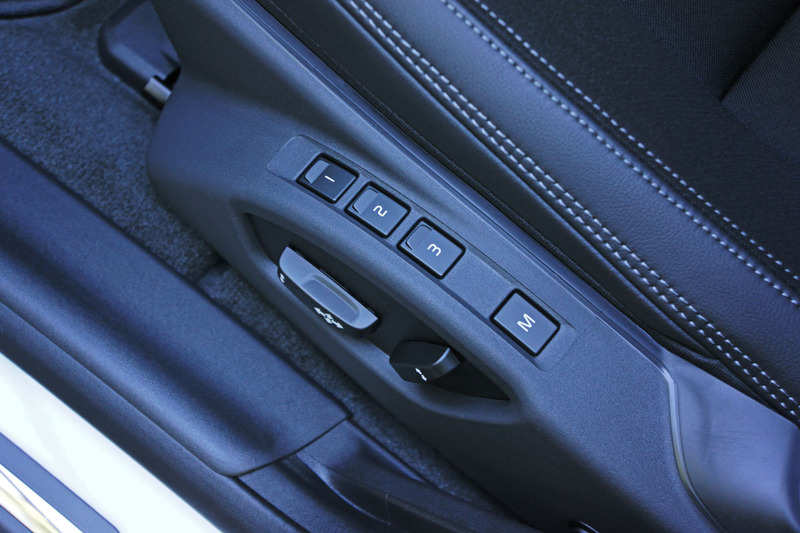 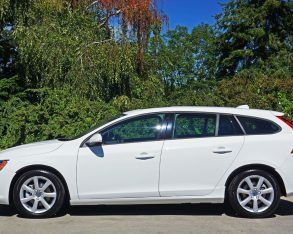 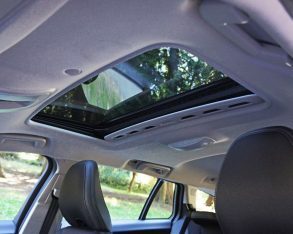 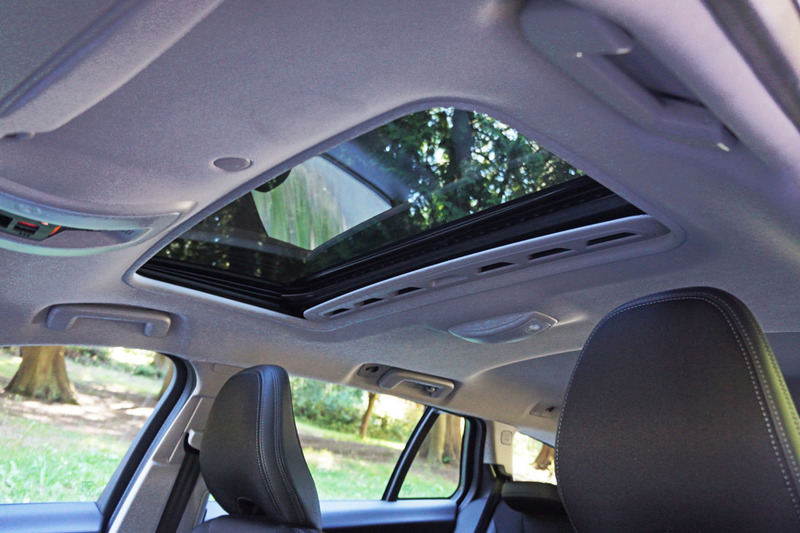 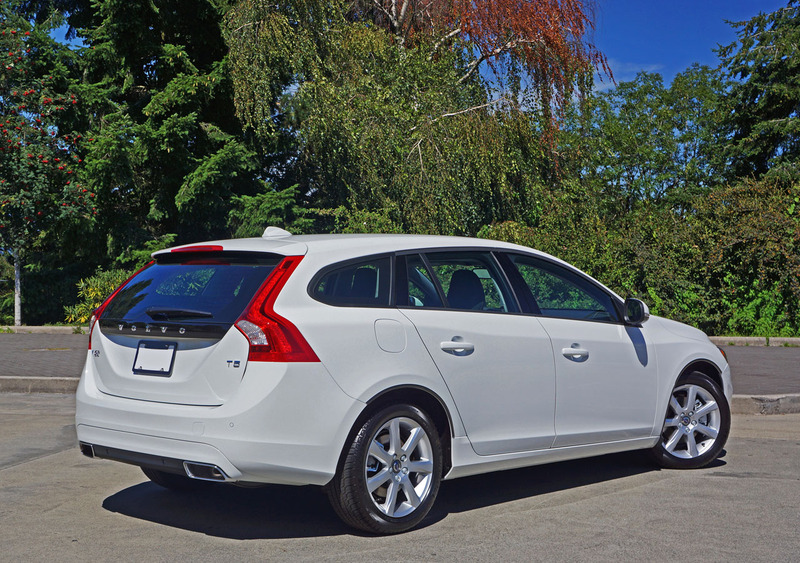 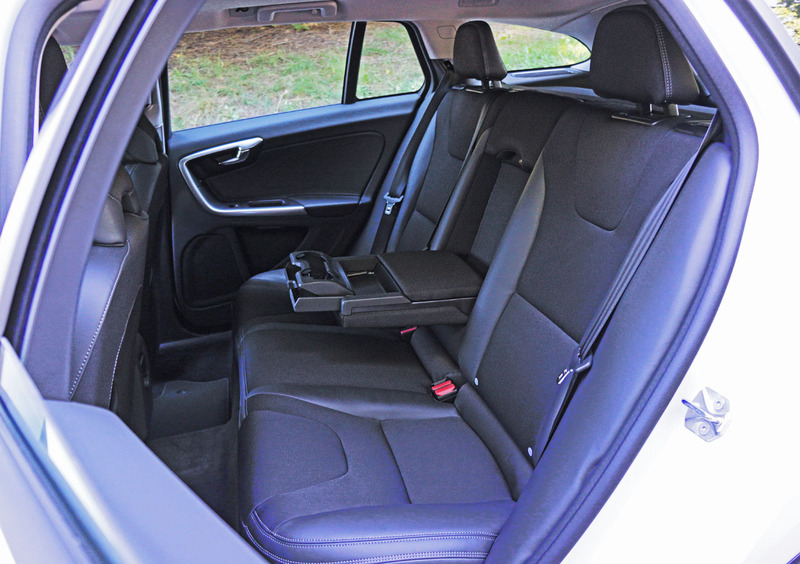 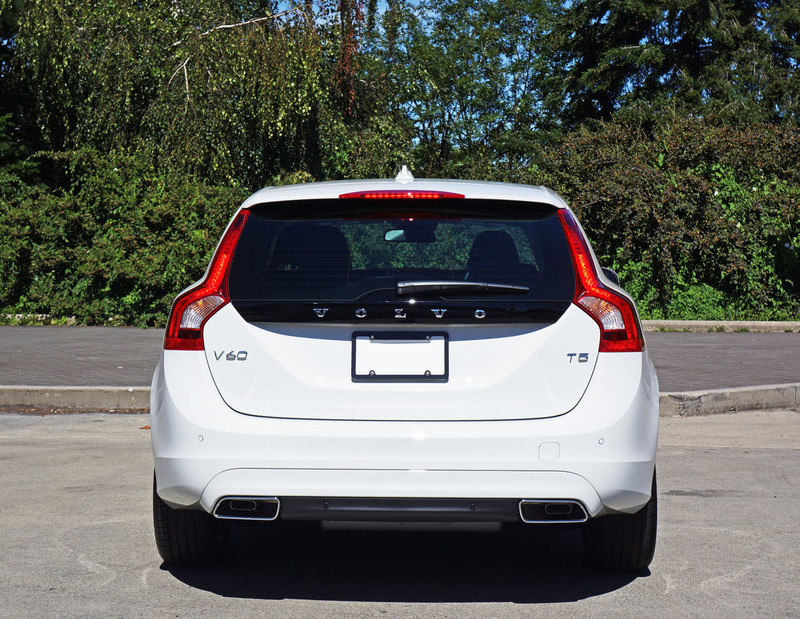 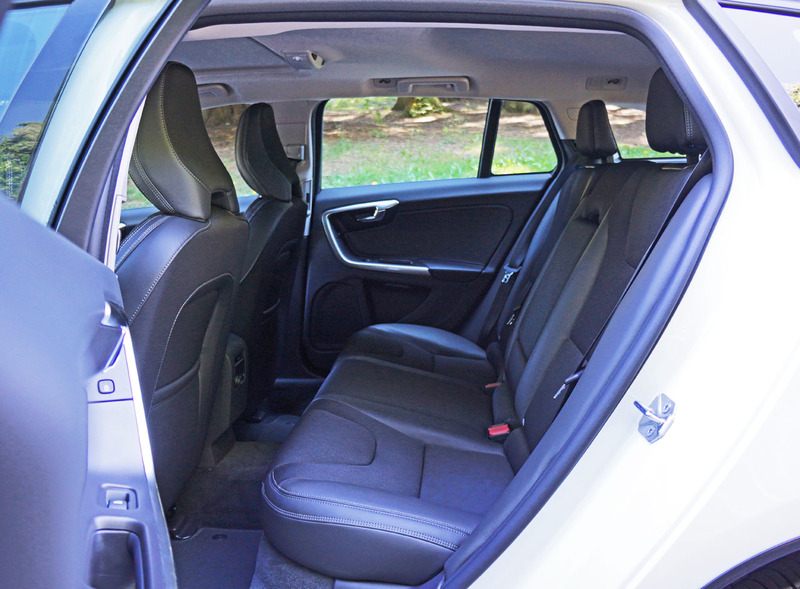 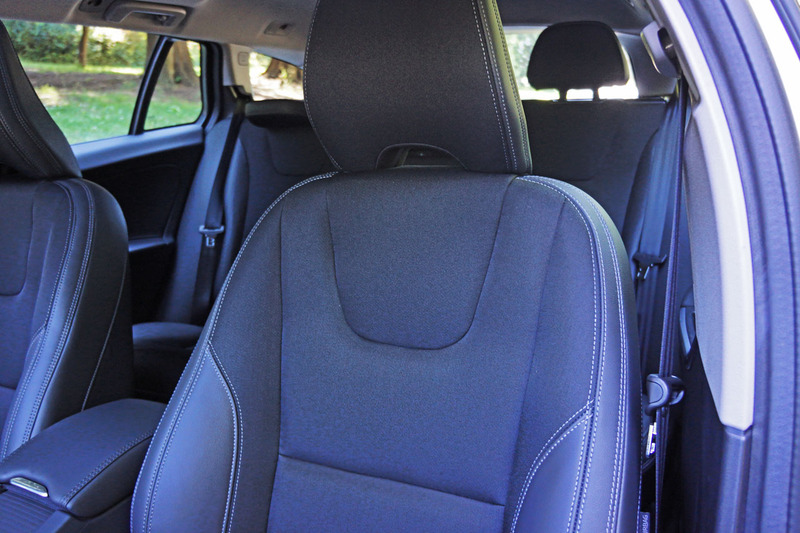 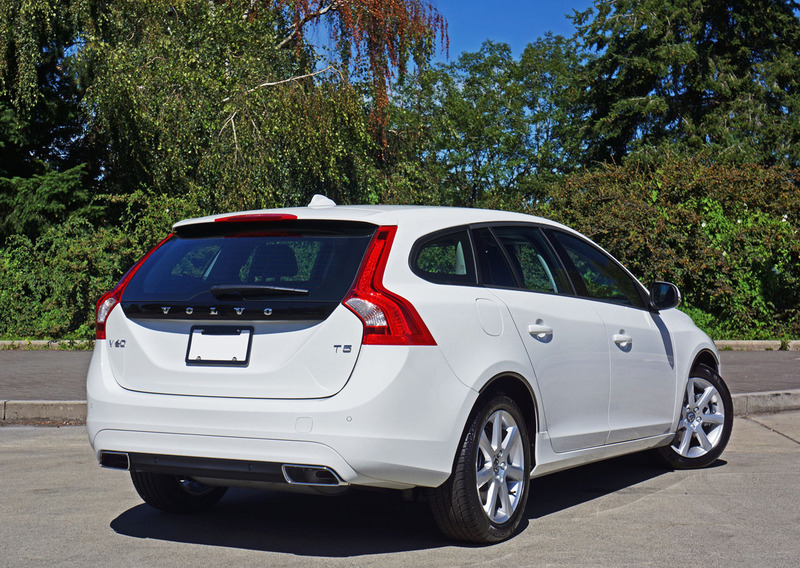 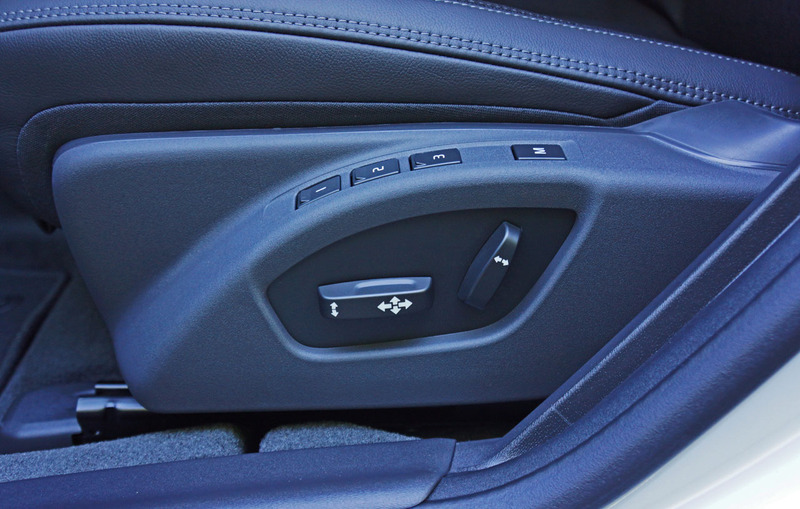 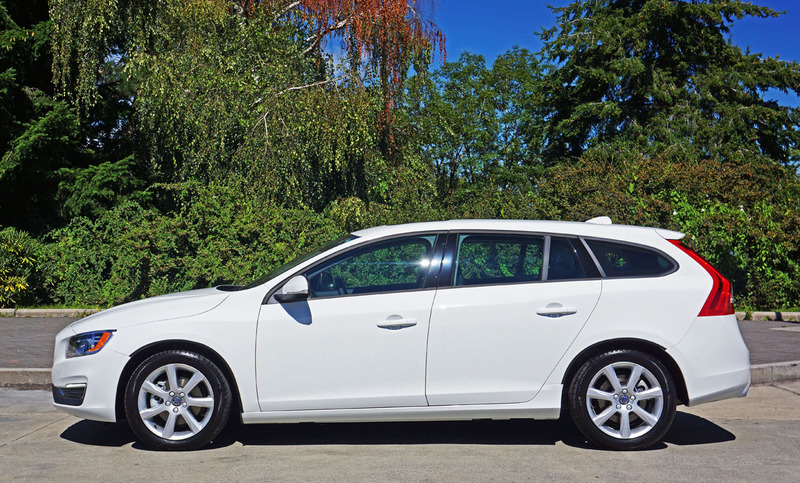 This shortcoming may be an issue worth considering if you regularly haul more of life’s baggage, but let’s not forget about the V60’s airier and arguably more comfortable passenger compartment when deciding. 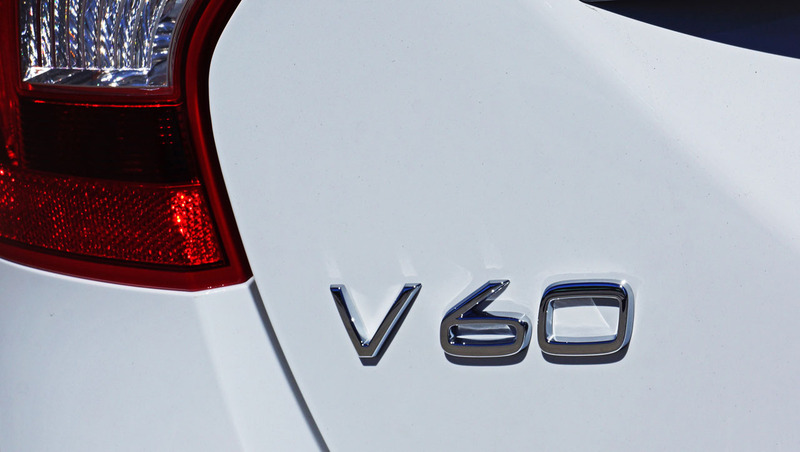 spent numerous weeks in BMW’s 3 Series Touring in different states of tune and have become quite a fan, but this is my first stint in a V60 and I have to say it immediately made me feel at home. 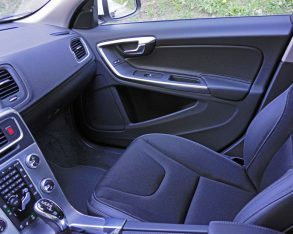 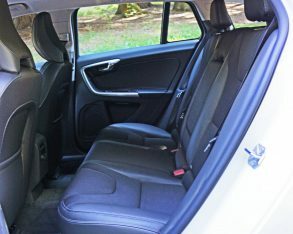 It’s a car that manages to collectively embrace body and soul, the seats so sublimely agreeable to backside and buttocks and overall sense of quality throughout the cabin exactly what was required to enhance my surly mood. 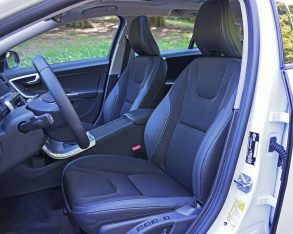 with Wolfgang Meyer on clarinet and Nikolaus Harnoncourt conducting the Concentus Musicus Wien at the Musikverein, Vienna, Austria, on the Teldec label for those interested), the musical equivalent of comfort food but better, as there’s no guilt. 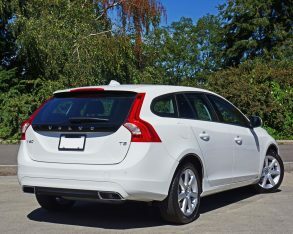 I’m driving the most basic V60 available, but this doesn’t negate the bright, crisp Allegro, as the standard 160-watt, eight-speaker “high-performance audio system” satisfyingly fills the rolling sound chamber. 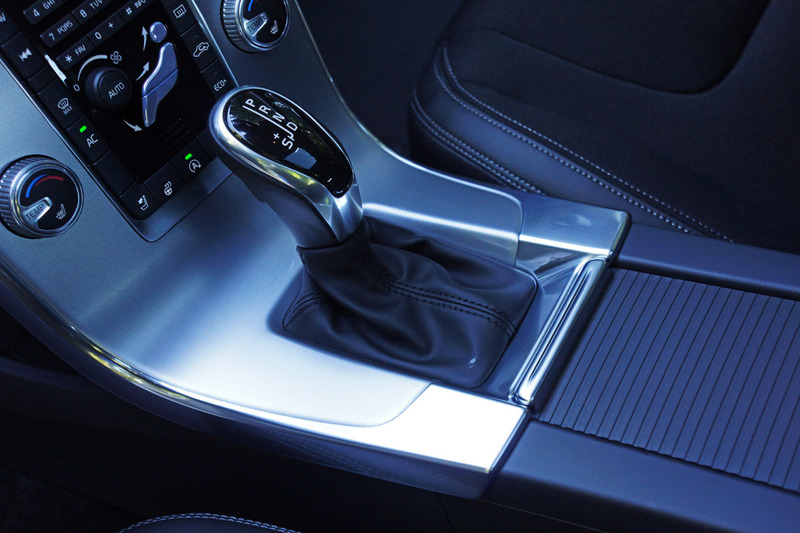 stack filled with superbly crafted aluminum and composite switchgear, a personal favourite design element. 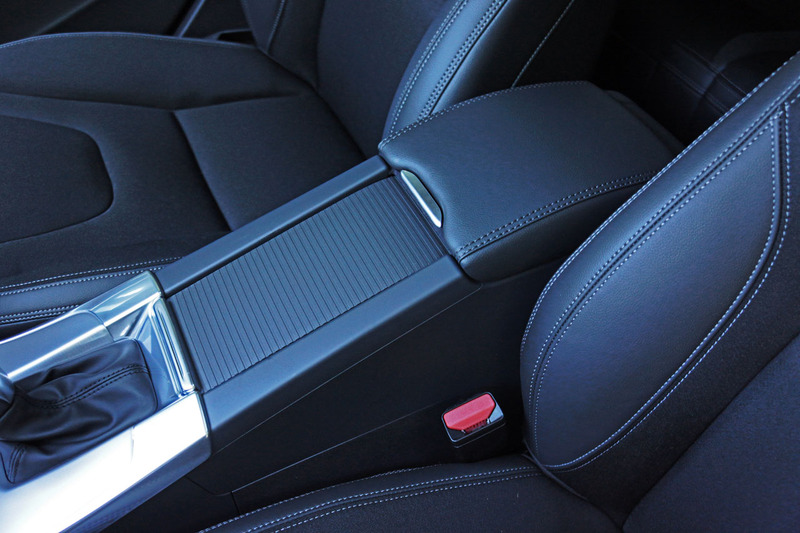 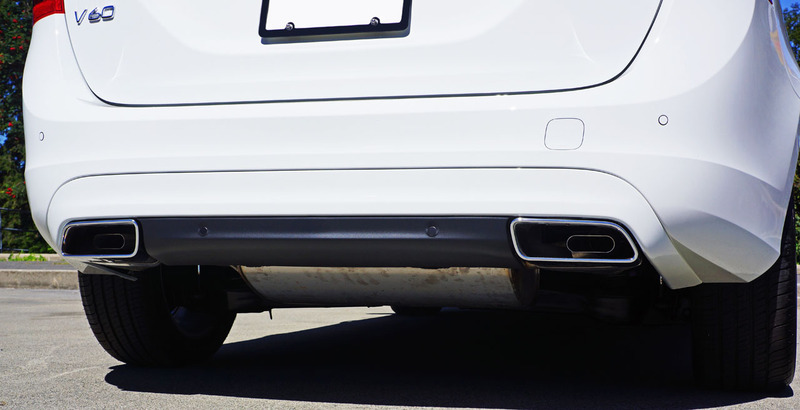 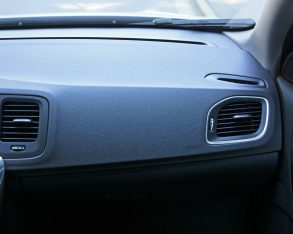 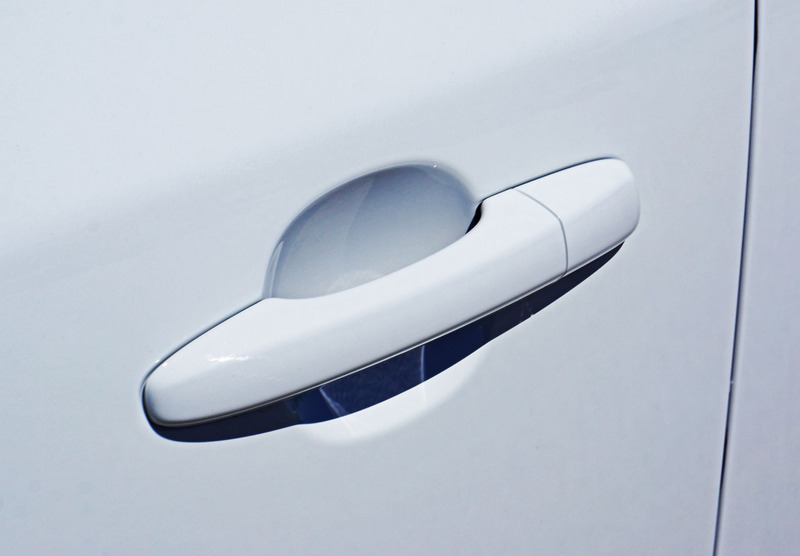 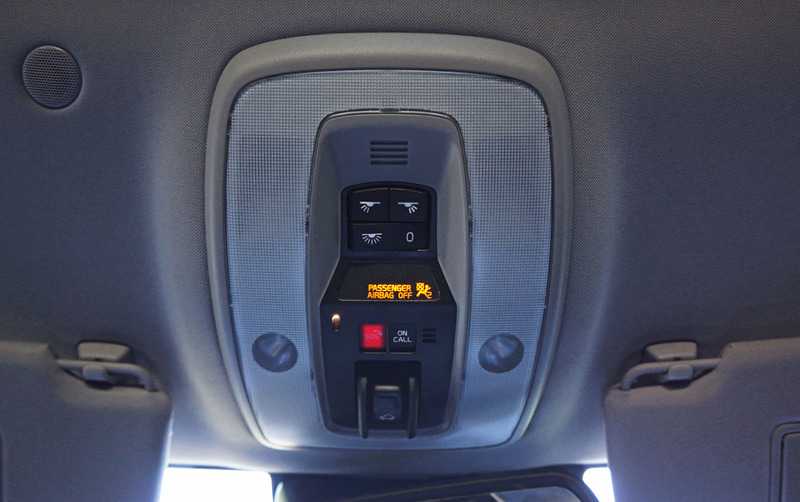 All pillars are fabric wrapped too, with the B pillars incorporating directional vents for rear passengers. 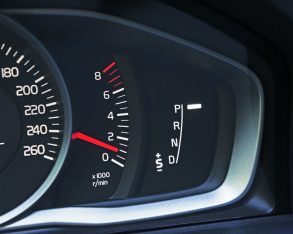 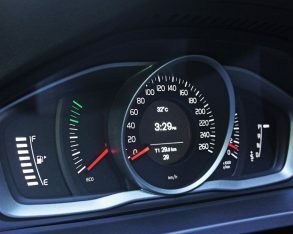 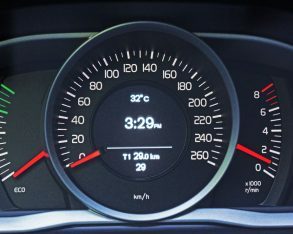 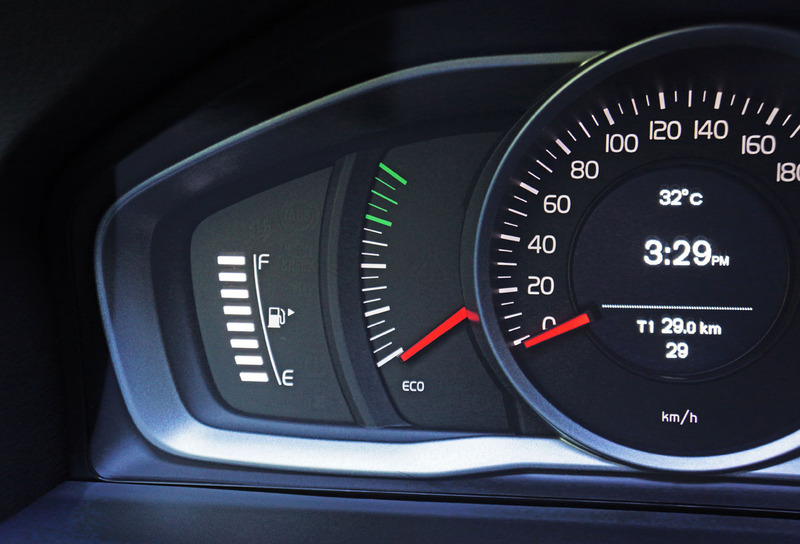 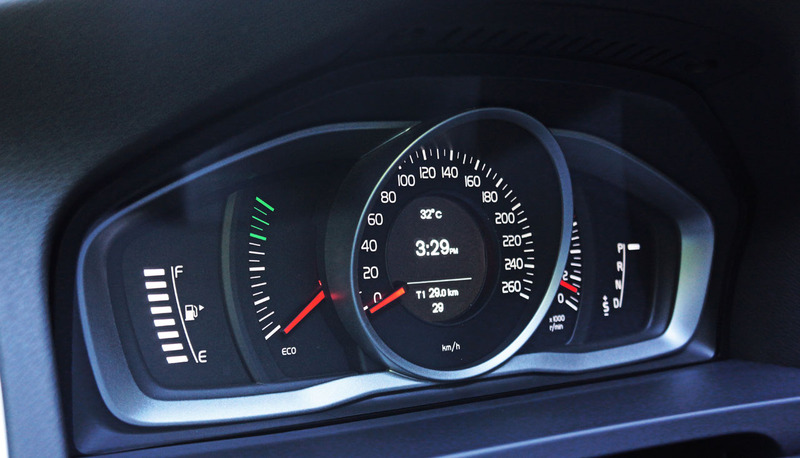 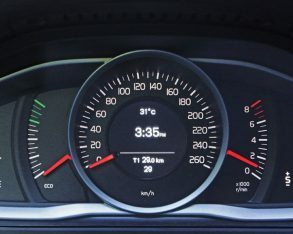 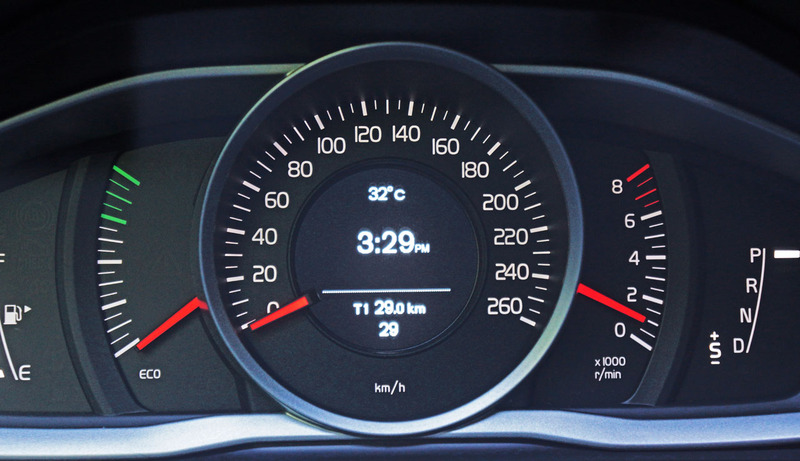 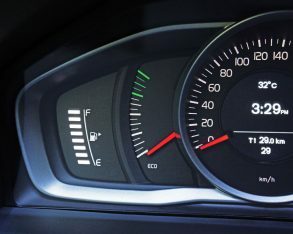 The primary gauge cluster is an attractive combination of analog dials with bright orange/red needles and digital displays, although this is the V60’s base version and therefore not as bright, crisp and graphically stimulating as others in the class. 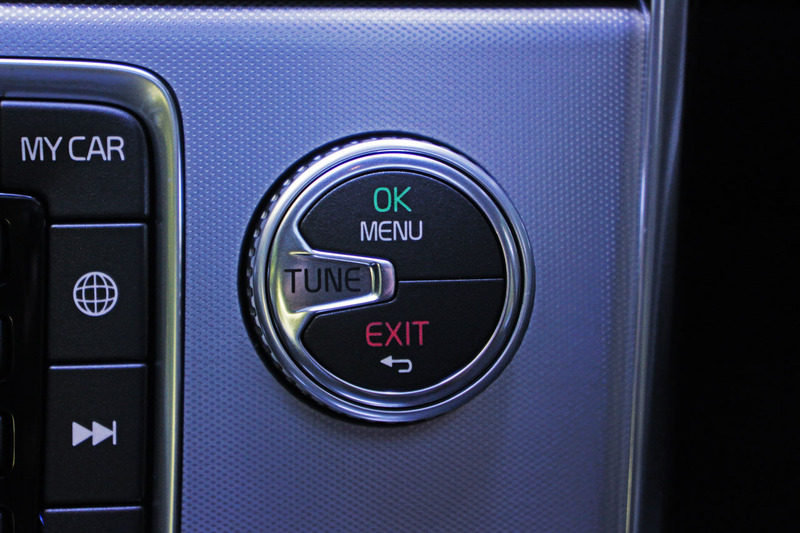 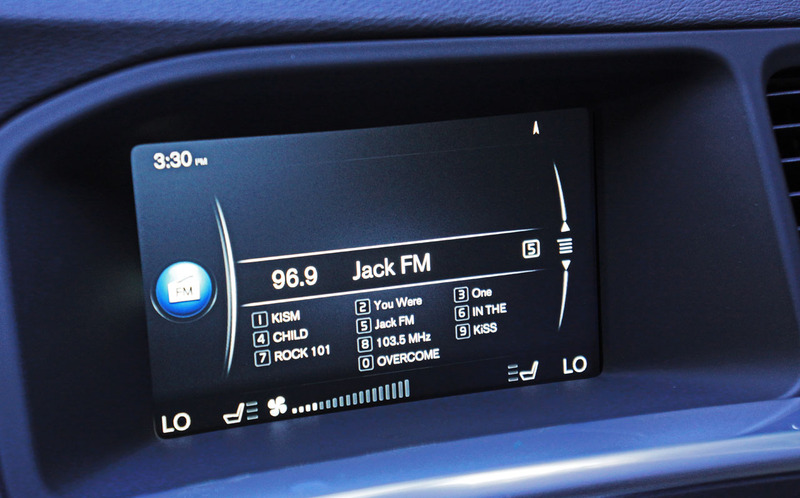 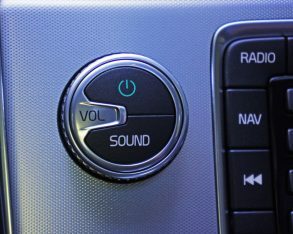 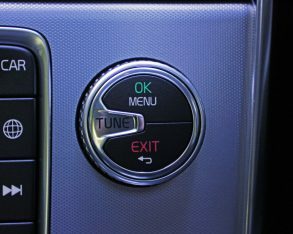 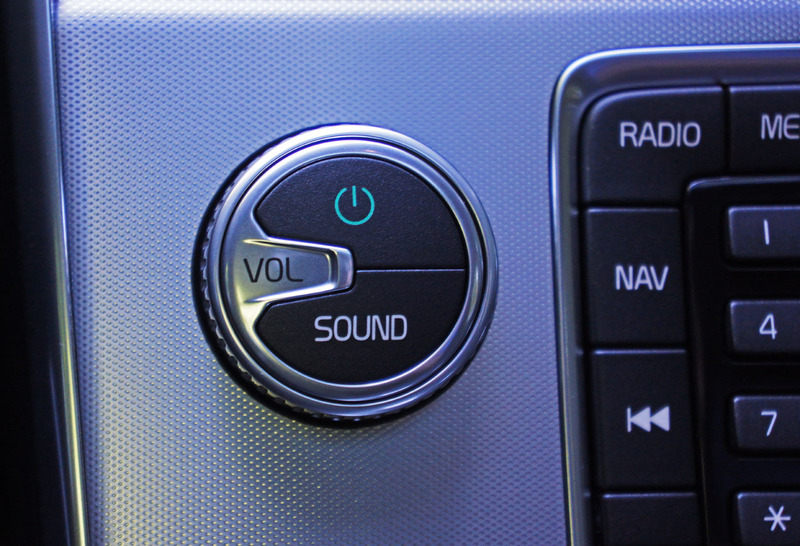 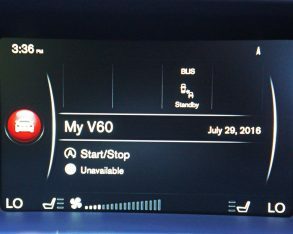 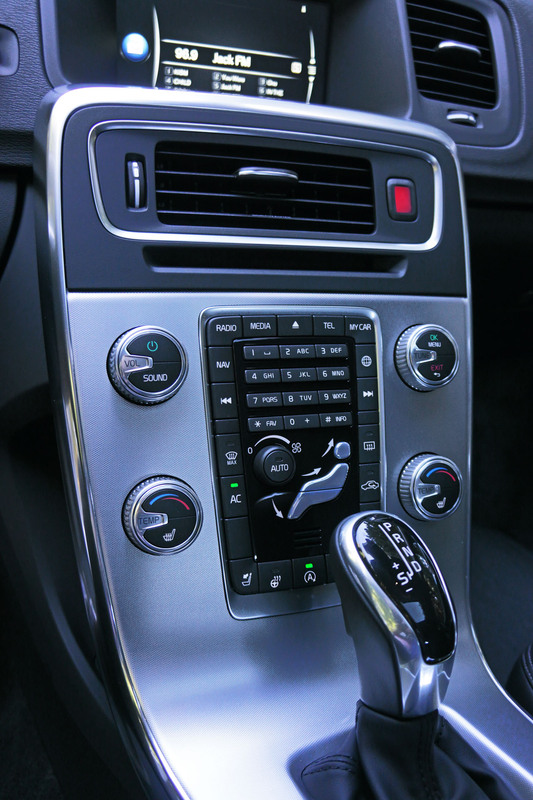 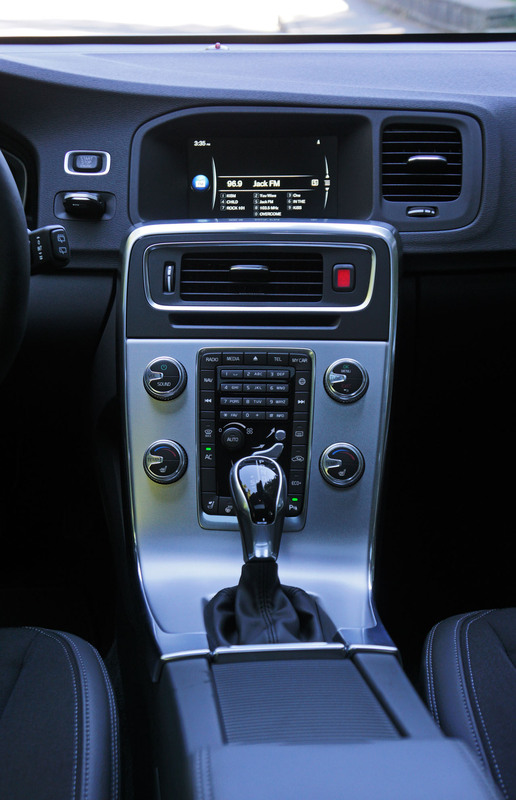 Ditto for the seven-inch Volvo Sensus infotainment system overtop the centre stack, its size a bit smaller and functionality slightly behind when compared to key competitors. 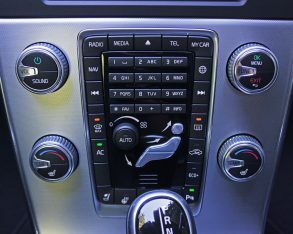 This model didn’t have navigation, but it’s available. 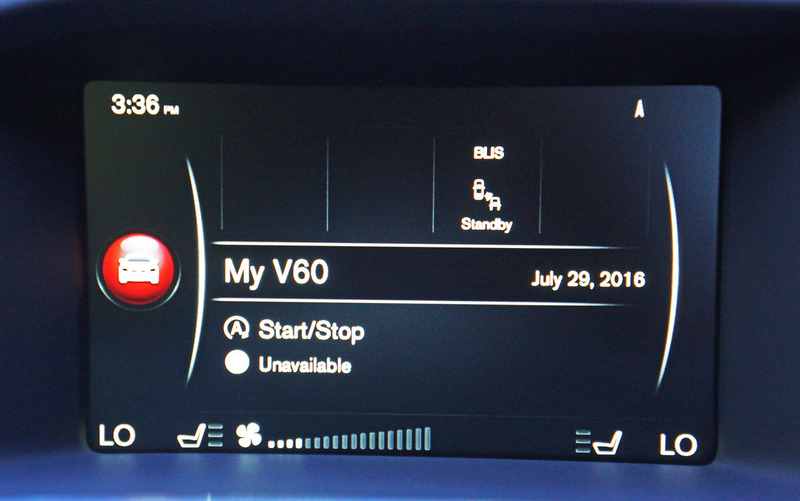 Unless you plan to use the infotainment display as intensely as your big screen smartphone or tablet it should suffice, but having already experienced the new XC90 I look forward to updated V60 electronics. 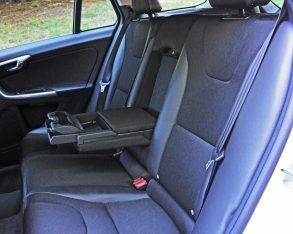 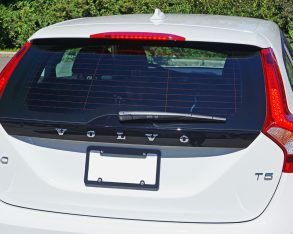 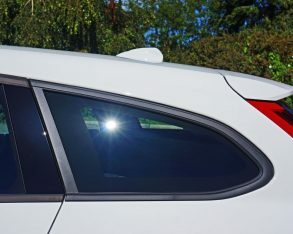 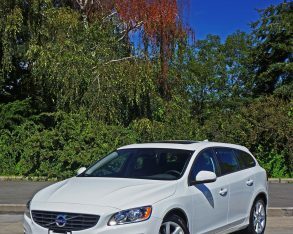 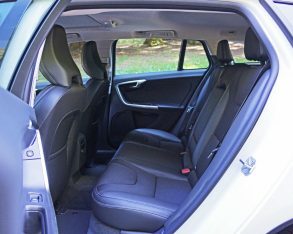 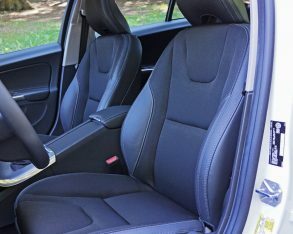 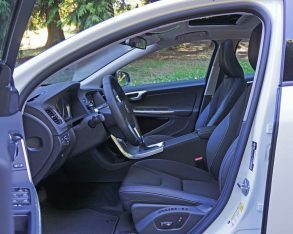 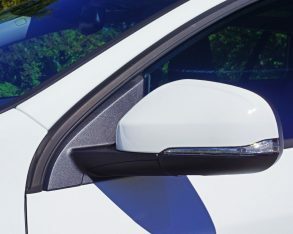 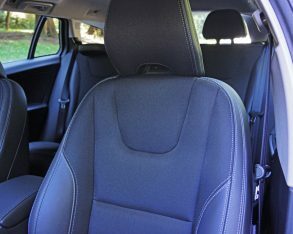 the V60 doesn’t offer the same level of options as its key competitors, missing items like cooled front seats and a panoramic sunroof, but its standard list is quite complete for a $40,600 D-segment luxury compact with items not yet mentioned including LED DRLs, 17-inch “Pallene” alloys on 215/50R17 all-seasons, power-adjustable heated side mirrors, an electromechanical parking brake, pushbutton ignition, a beautiful leather-wrapped multifunction steering wheel, rain-sensing wipers, Bluetooth with audio streaming, dual-zone auto climate control, an eight-way powered driver seat with memory that also adjusts the side mirrors, a powered front passenger seat, heatable front seats, HD and satellite radio, Volvo On Call, a powered glass sunroof, power-folding rear headrests, and more. 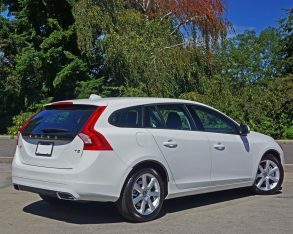 features that truly set it apart from other base models in the segment such as City Safety autonomous braking, Dynamic Stability Control with sport mode, and torque vectoring Corner Traction Control, the latter two also enhancing the base “Touring” suspension’s handling. 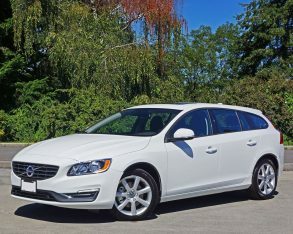 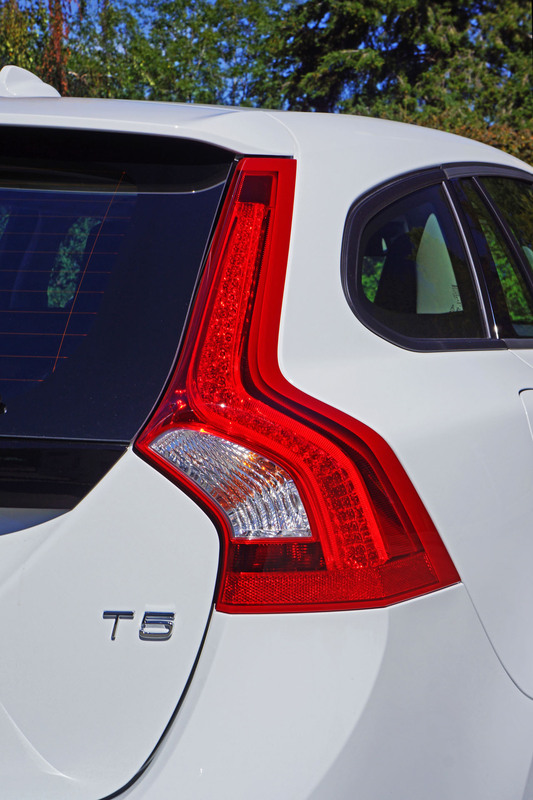 This makes the V60 and its four-door S60 sibling the only base models in the premium D-segment to achieve a best possible Top Safety Pick Plus score from the IIHS. 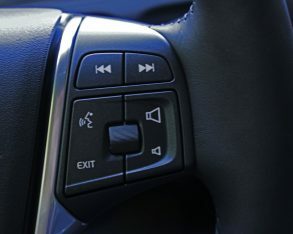 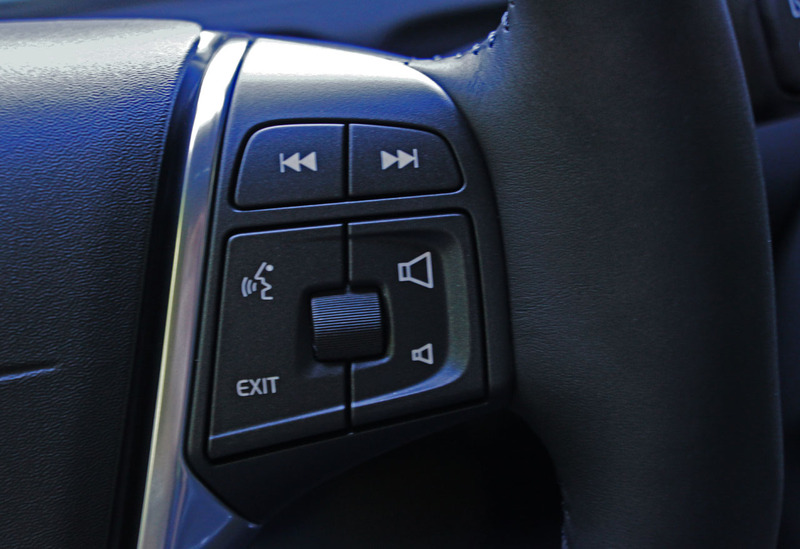 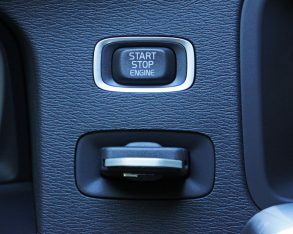 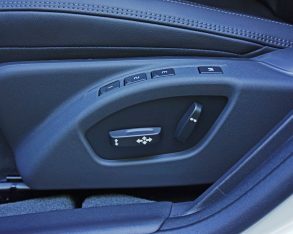 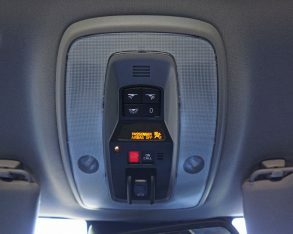 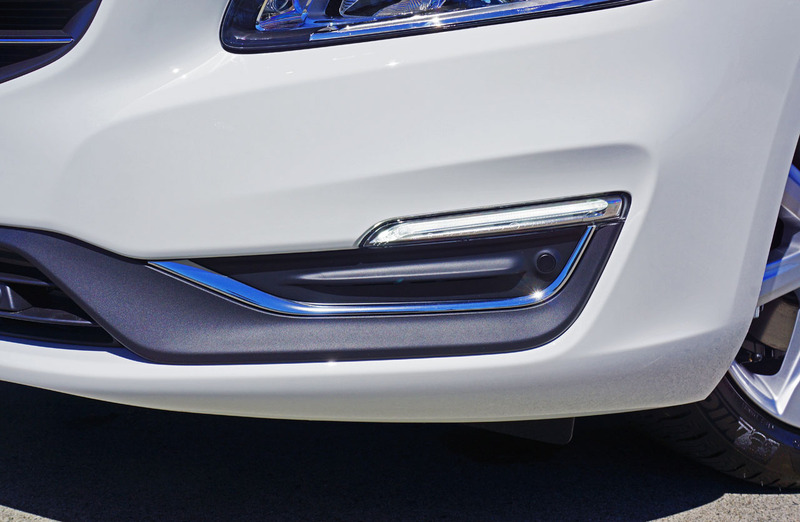 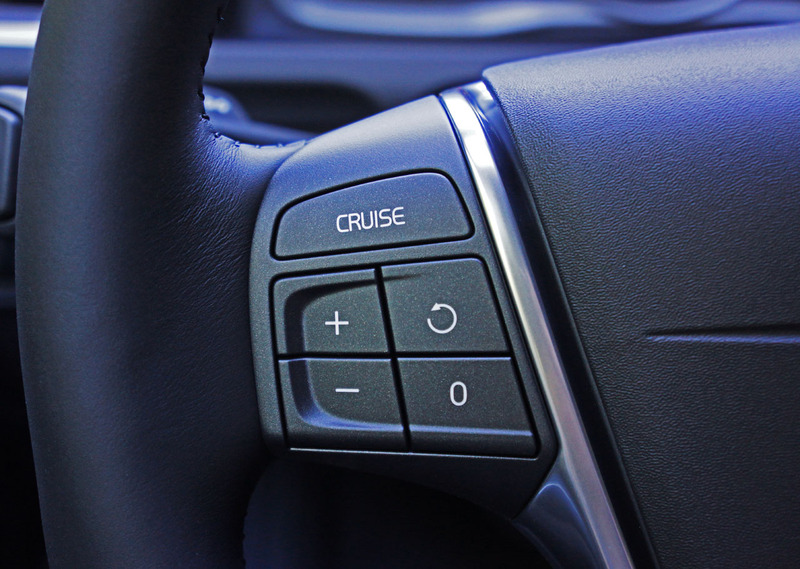 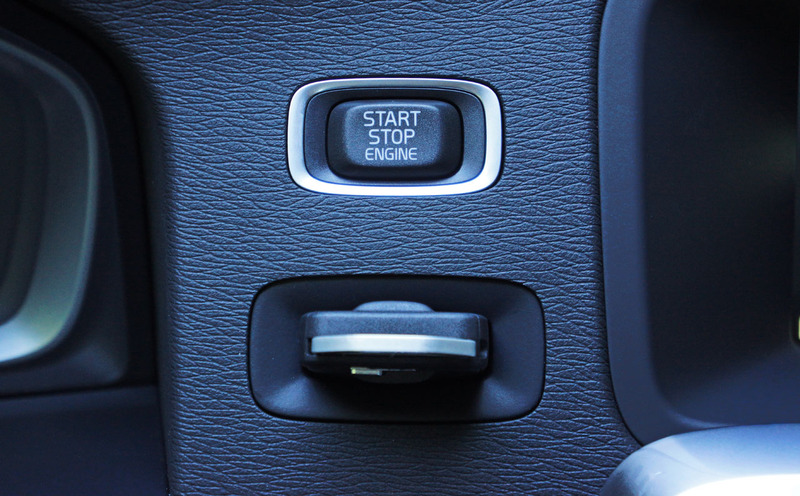 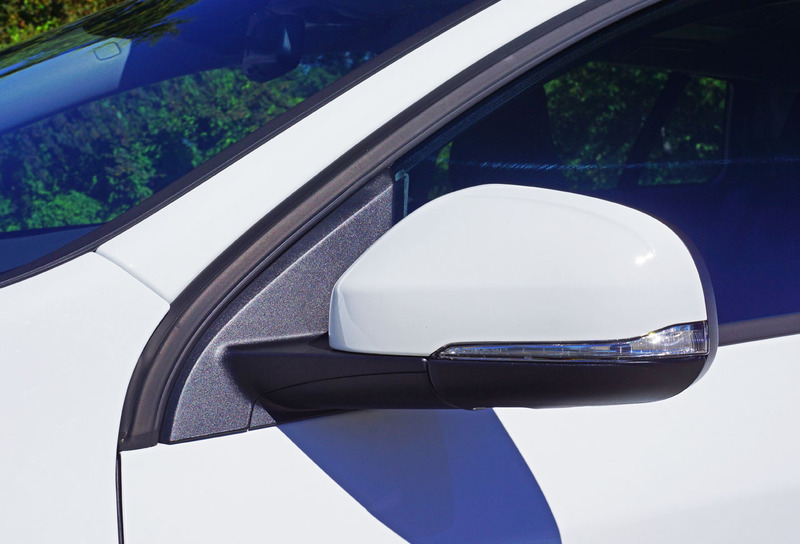 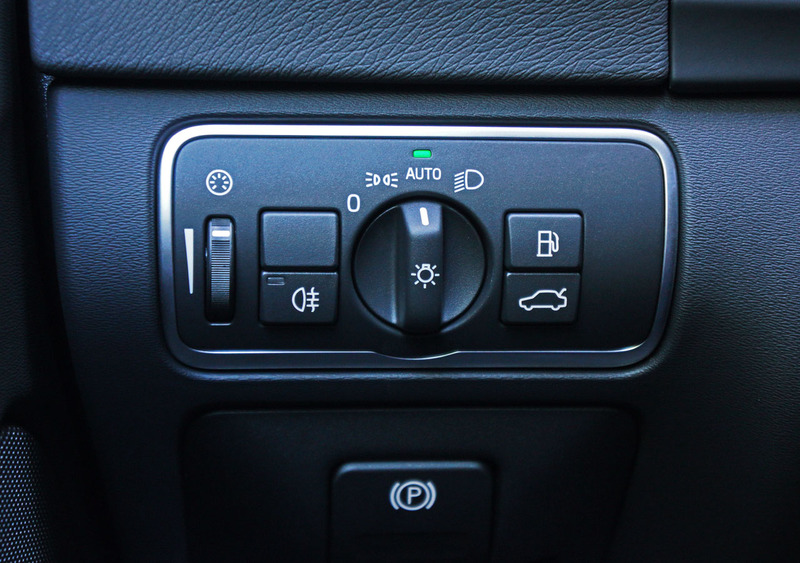 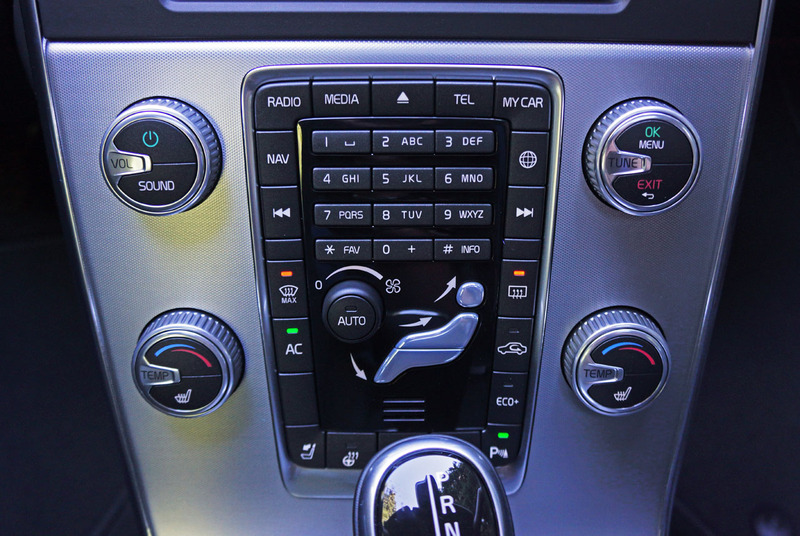 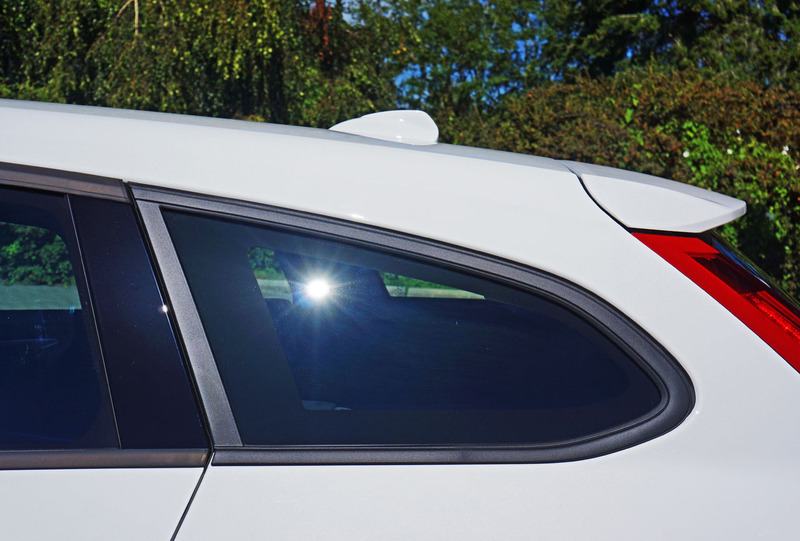 Spot Information System Package adds (you guessed it) blindspot warning with cross-traffic alert, a lane change merge aid, plus front and rear parking assist, or alternatively you can opt for the blindspot and cross-traffic warning systems along with self-parking for $1,500. 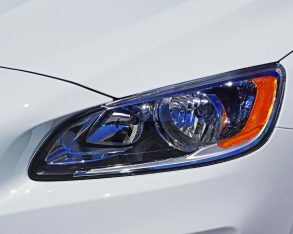 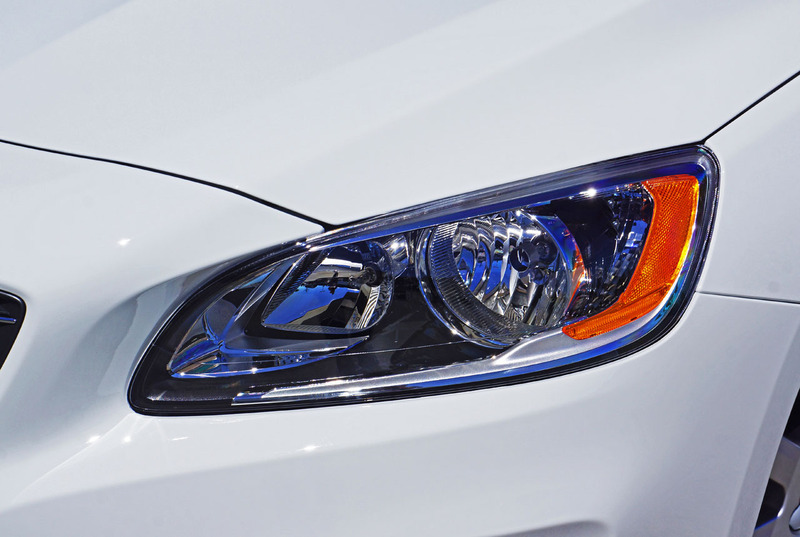 The base model can also be upgraded to include active dual-HID headlamps with washers for $1,100, and lastly a $1,200 Sport package adds gorgeous 19-inch “Bor” diamond cut alloys, paddle shifters and a sport suspension. 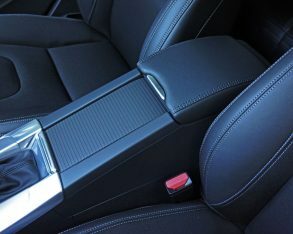 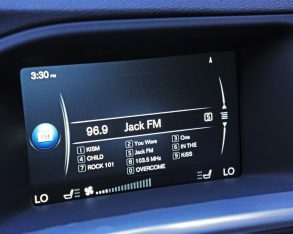 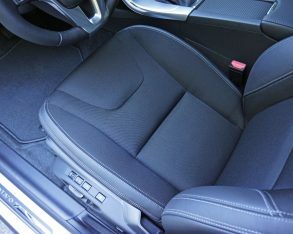 options available to the base model plus an $800 Convenience package with a garage door opener, digital compass, grocery bag holder and a rearview camera that really ought to be standard; a $2,950 Navigation package adds navigation, 12-speaker Harman/Kardon audio, power-folding auto-dimming side mirrors, and LED accent lighting; while a $1,600 Technology package adds the aforementioned dual-HID headlights with auto high beams, plus adaptive cruise control with Queue Assist, Distance Alert, Driver Alert Control, road sign information, lane departure warning, collision warning along with pedestrian and cyclist detection with full auto brake, and lane keeping assist. 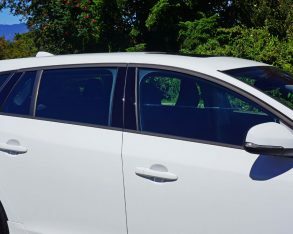 base shades, my tester finished in always fashionable Ice White that added nothing to the bottom line. 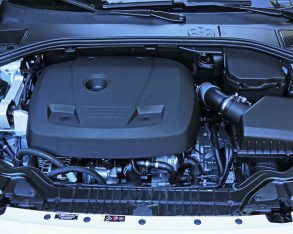 Of course, more upgrades get added with other engines and trims, the options mentioned only reflecting the base powertrain. 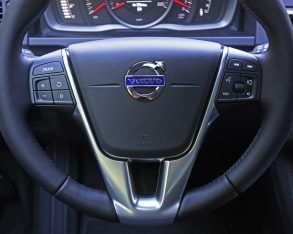 Being that I alluded to it earlier, there’s a track-inspired Polestar version of the V60 that’s way edgier than any compact German wagon available here, a car with 350 horsepower T6 engine capable of 5.0-second sprints to 100km/h, aided by a specially calibrated six-speed auto with paddles, 80-percent stiffer springs, Öhlins shocks, upgraded brakes, and more, but that’s another review for a future time (if I’m lucky). 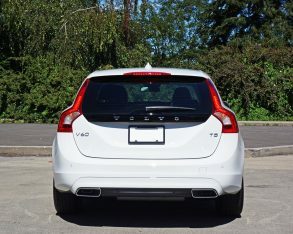 Still, it’s nice to know Volvo’s mojo is alive and well. 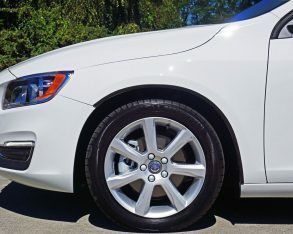 my entry-level tester was quite capable through the curves even with its base 17-inch alloys, wonderfully controllable over rough pavement, and reportedly excellent in inclement weather (although I never experienced such), much due to a rigid body structure and well-sorted fully independent suspension, while it also benefited from a nice, compliant, luxurious ride that suited its premium personality ideally. 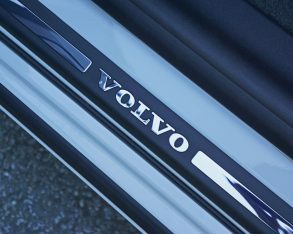 It’s also good to know Volvo ranked fairly well in Consumer Reports’ 2016 report card on reliability at sixth amongst luxury brands when including Porsche at the top end and Buick at the bottom, which means that it beat six premium branded competitors. 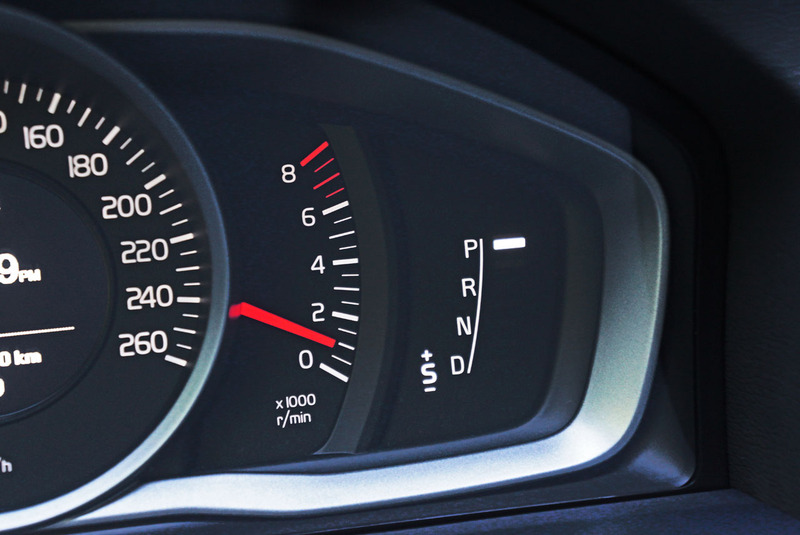 Likewise it earned an above average score in J.D. 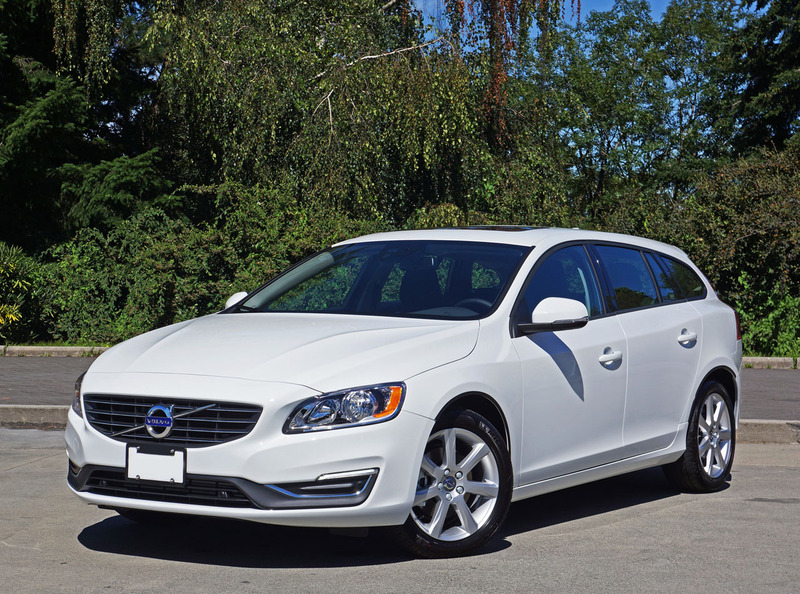 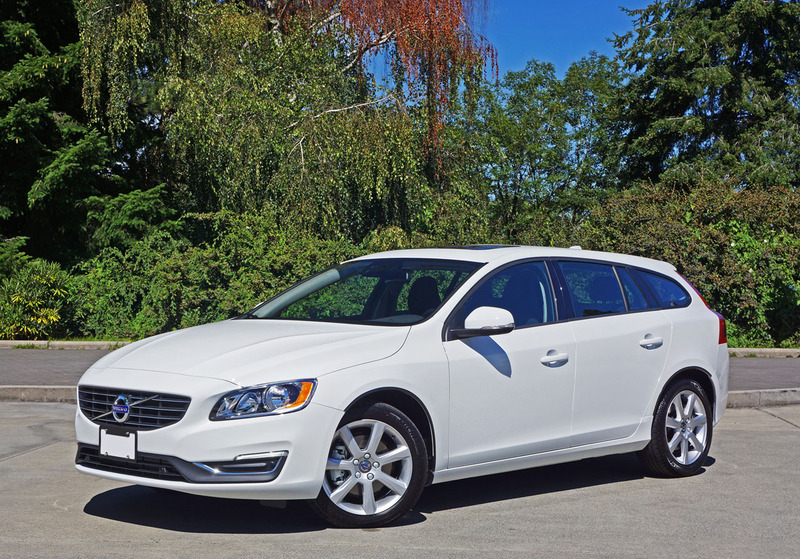 Power’s 2016 Vehicle Dependability Study, so the V60 should deliver good reliable service. 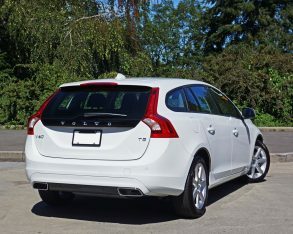 From my V60 Drive-E FWD tester to the many models mentioned including the highly advanced Drive-E AWD and fabulous Polestar super wagon, to the 63-mm (2.5-inch) taller more off-road capable V60 Cross Country, Volvo has the compact luxury five-door D-Segment fully covered. 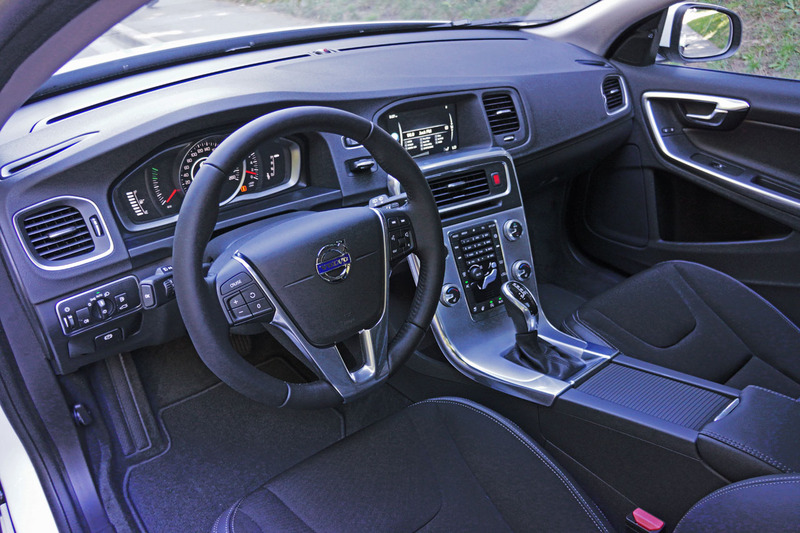 No matter the model the V60 sports rakish wind-cheating design, a beautifully finished high-quality cabin, an excellent balance of performance and comfort, and the best safety in its class.